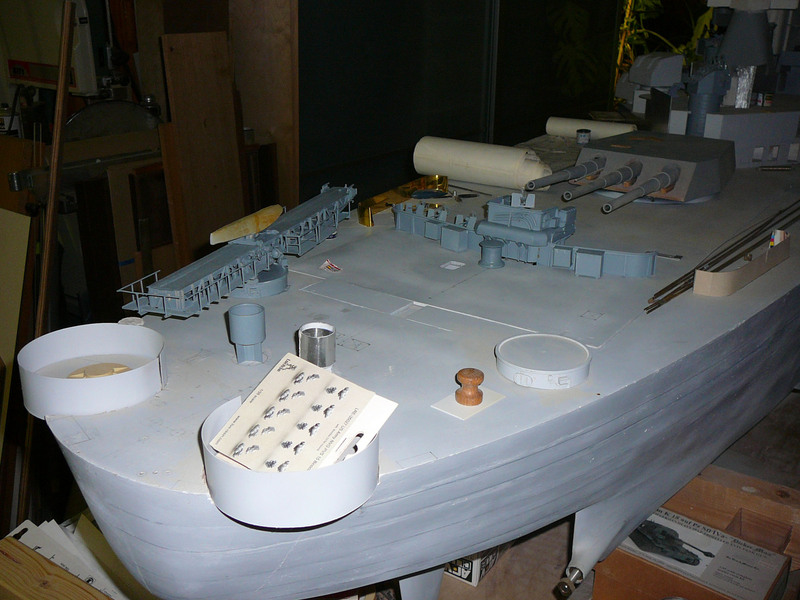 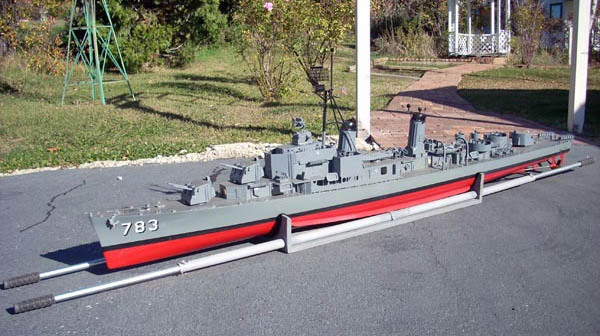 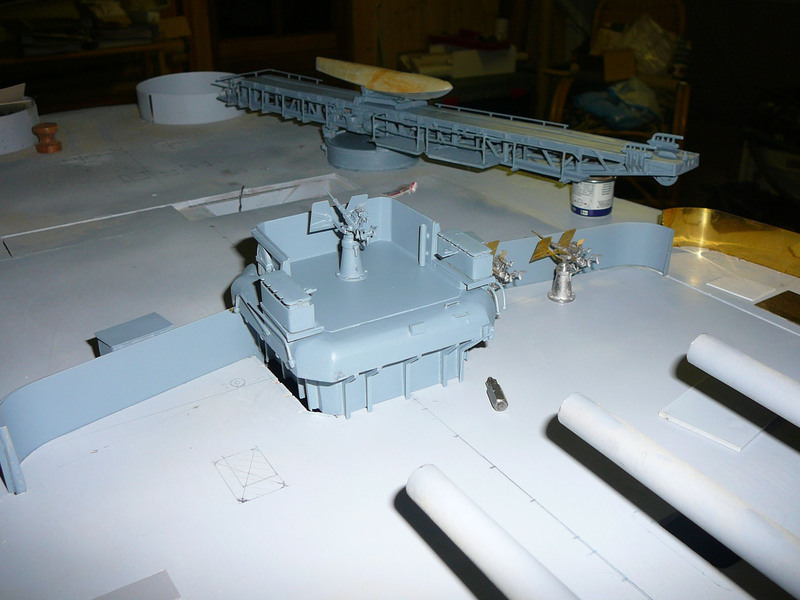 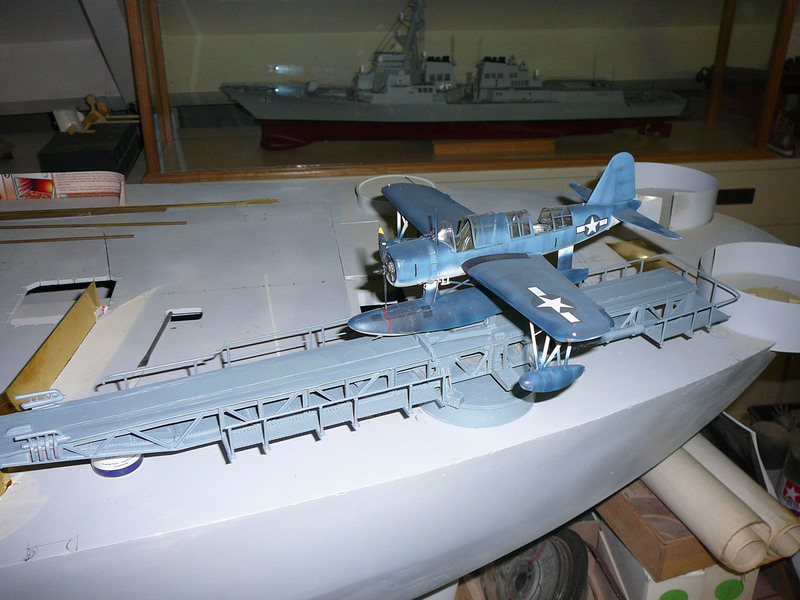 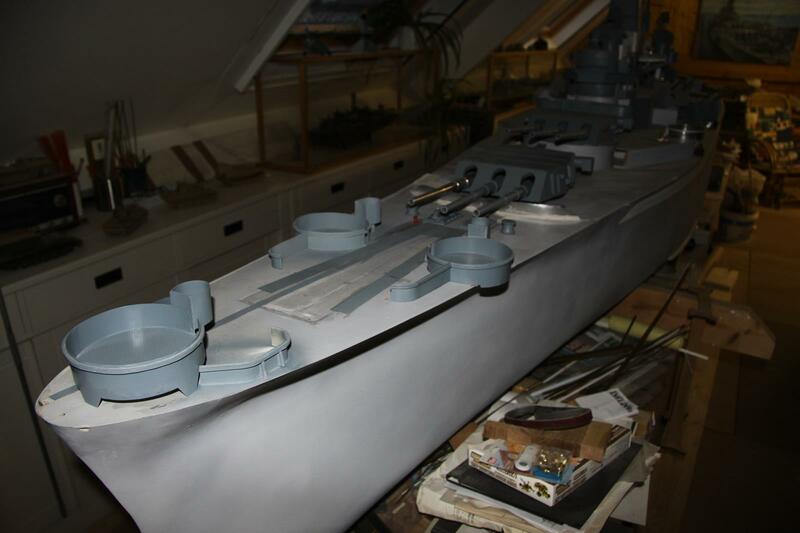 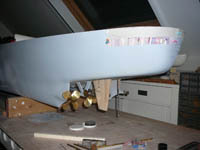 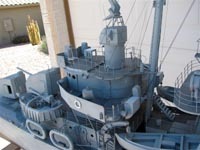 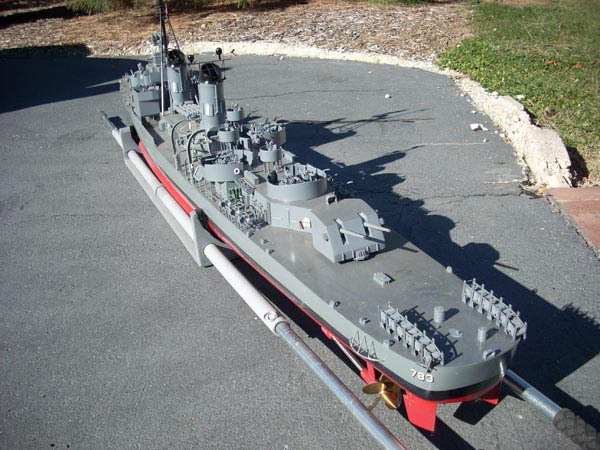 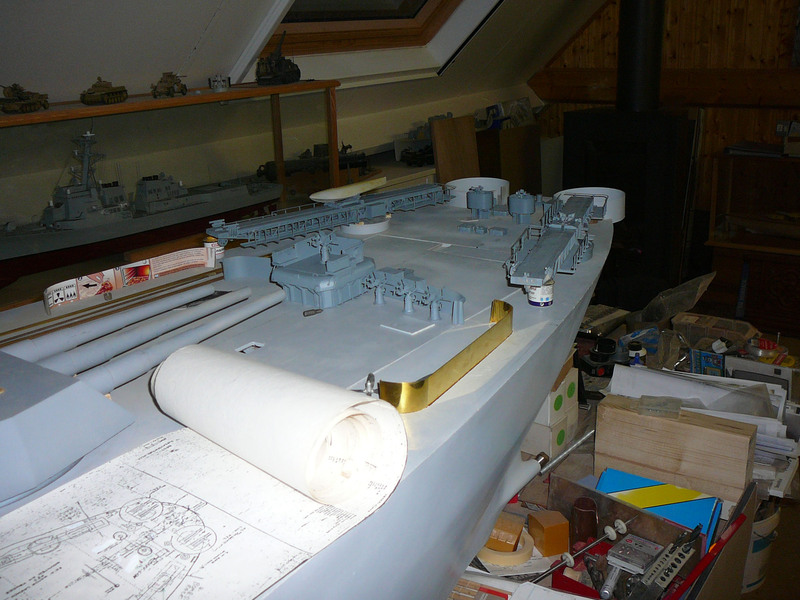 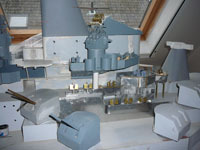 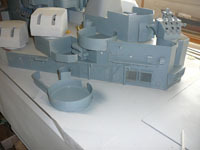 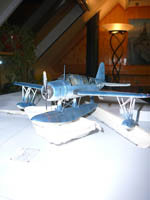 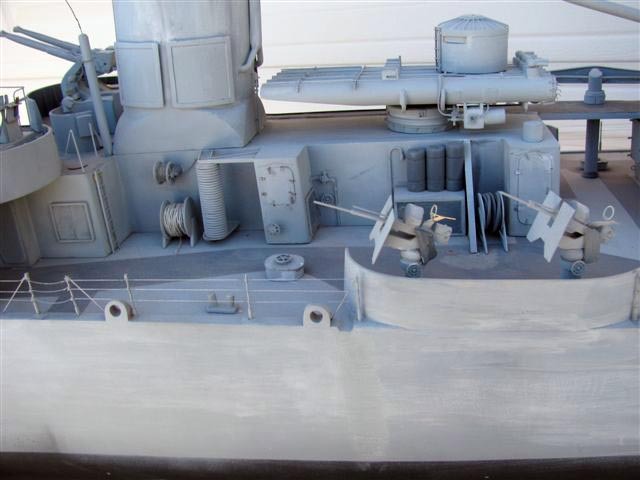 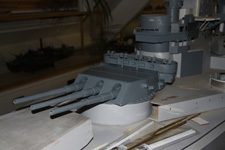 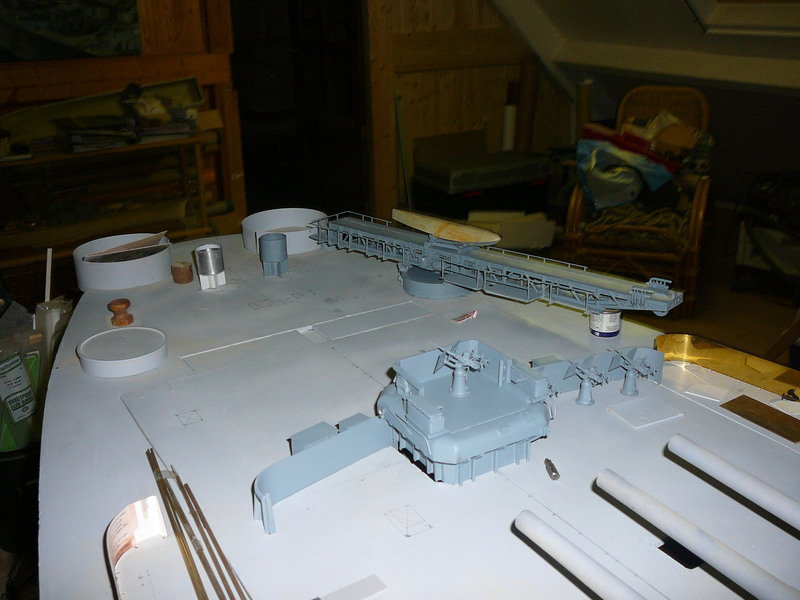 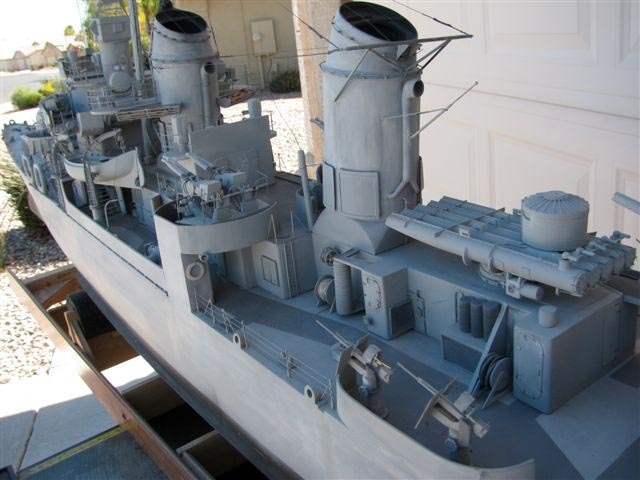 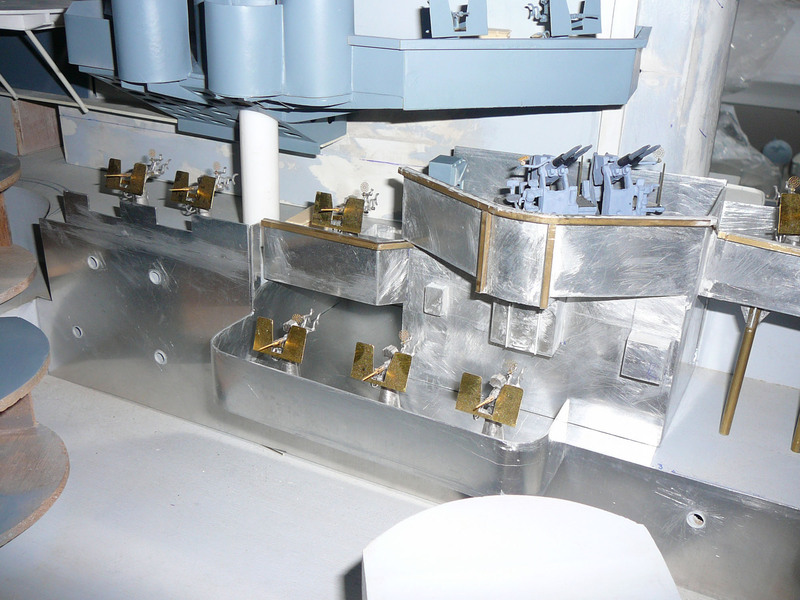 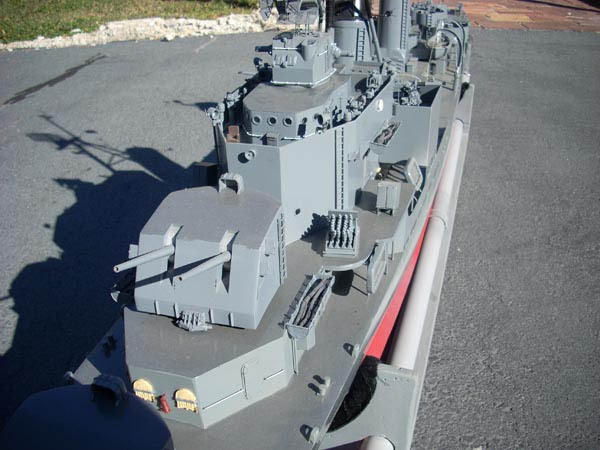 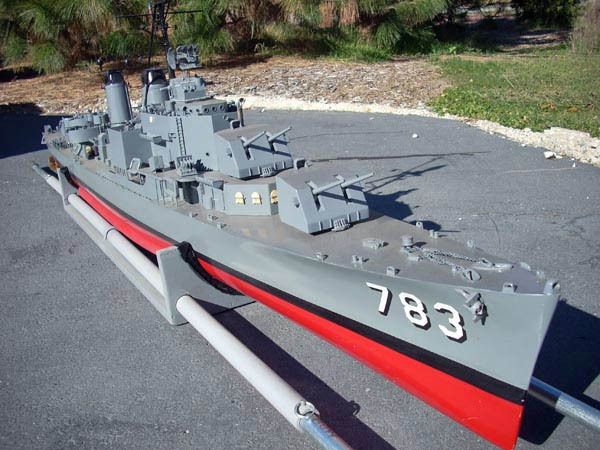 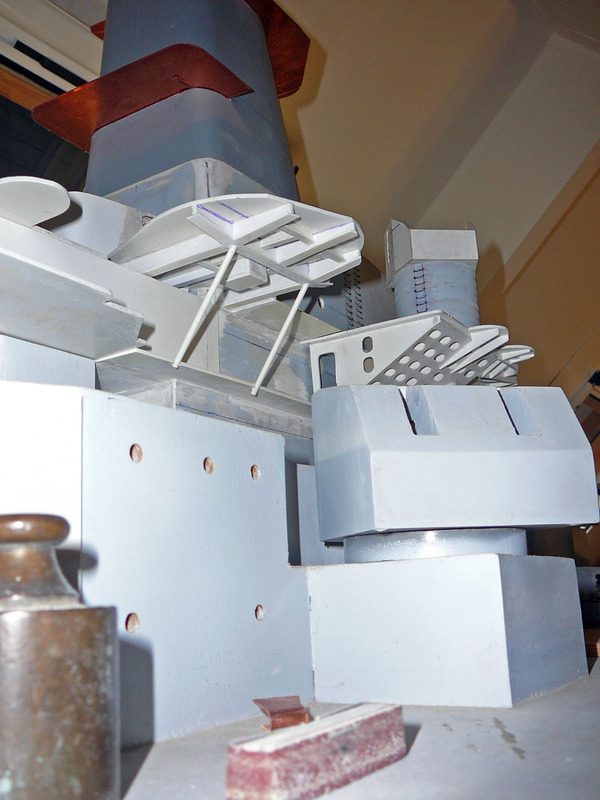 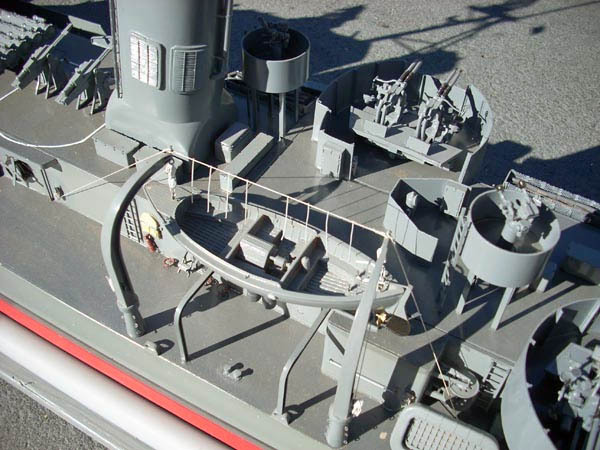 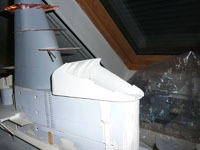 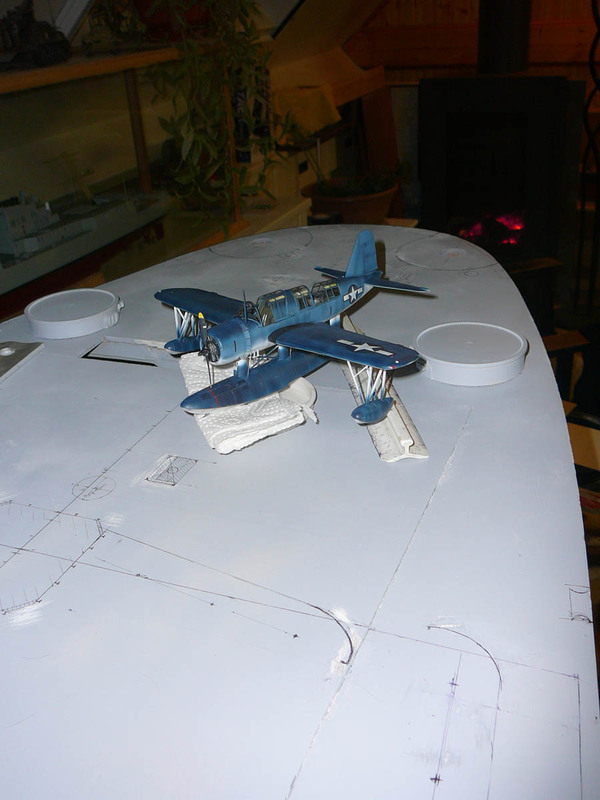 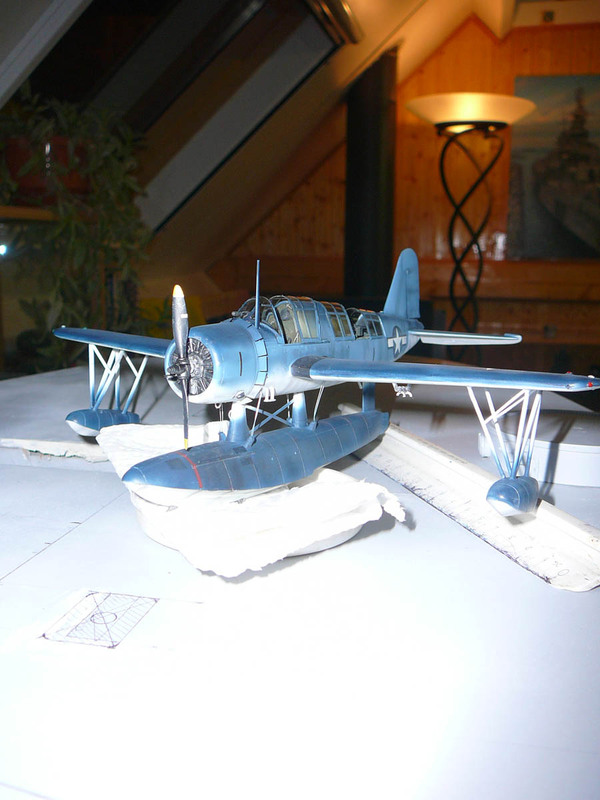 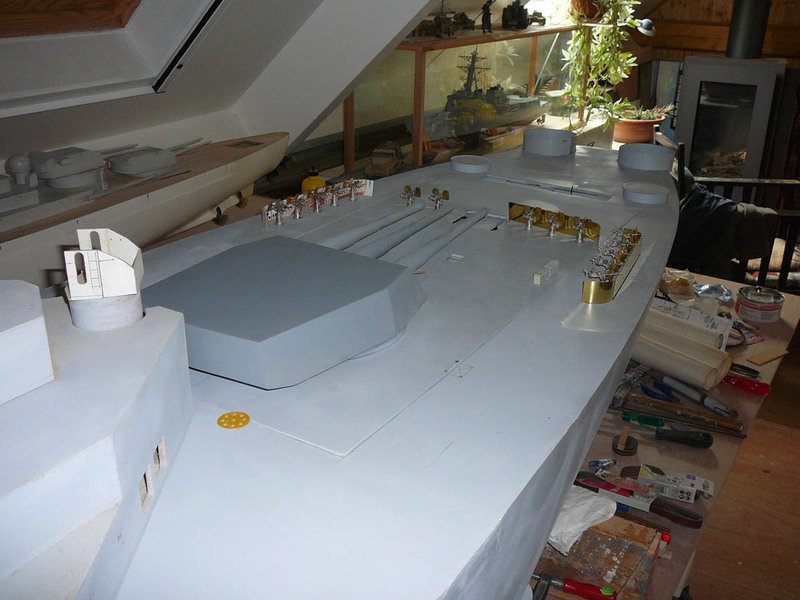 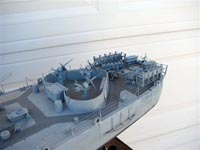 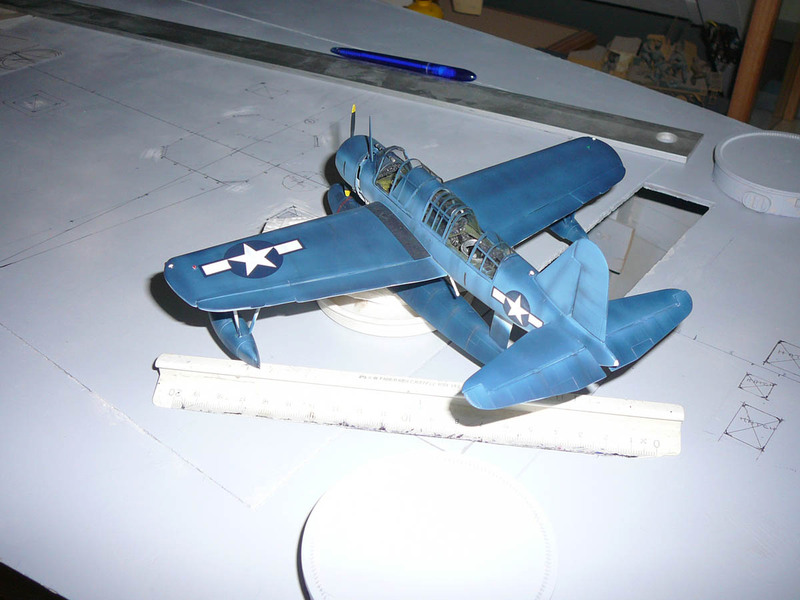 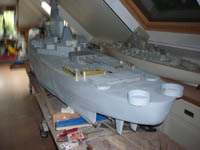 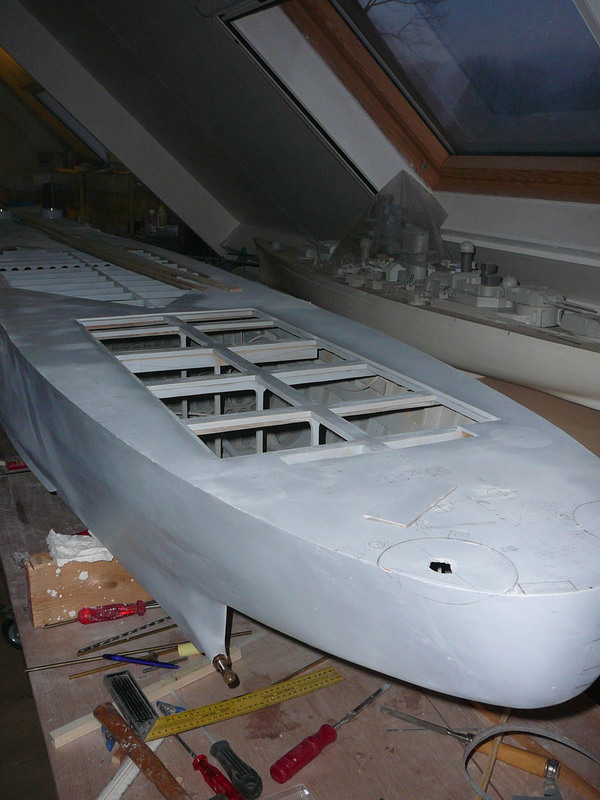 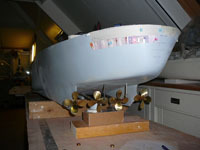 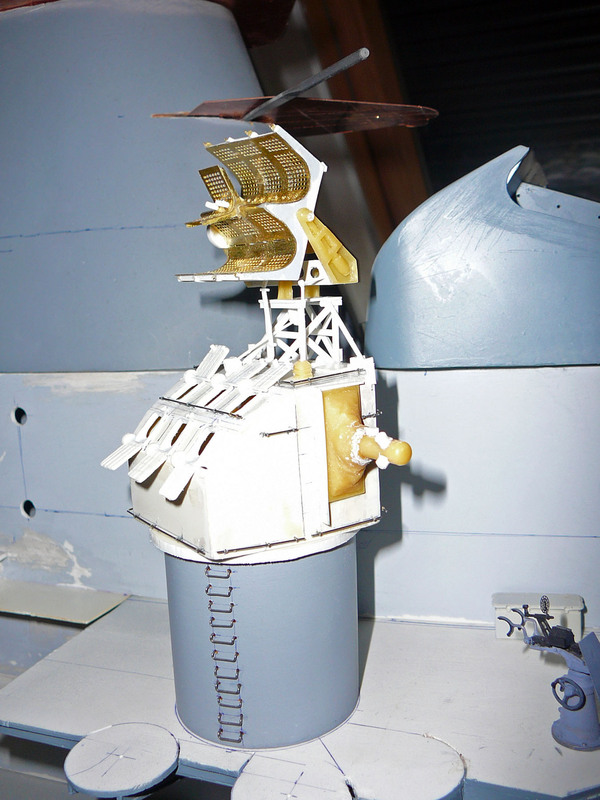 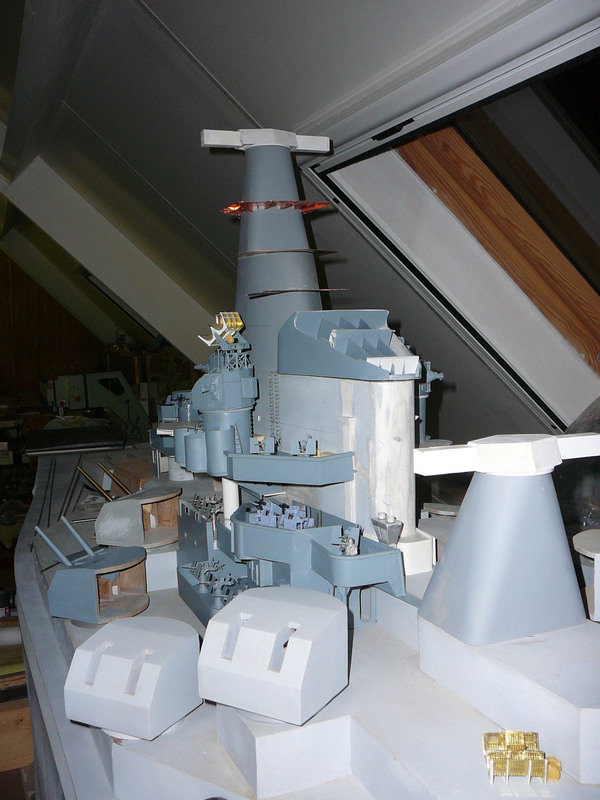 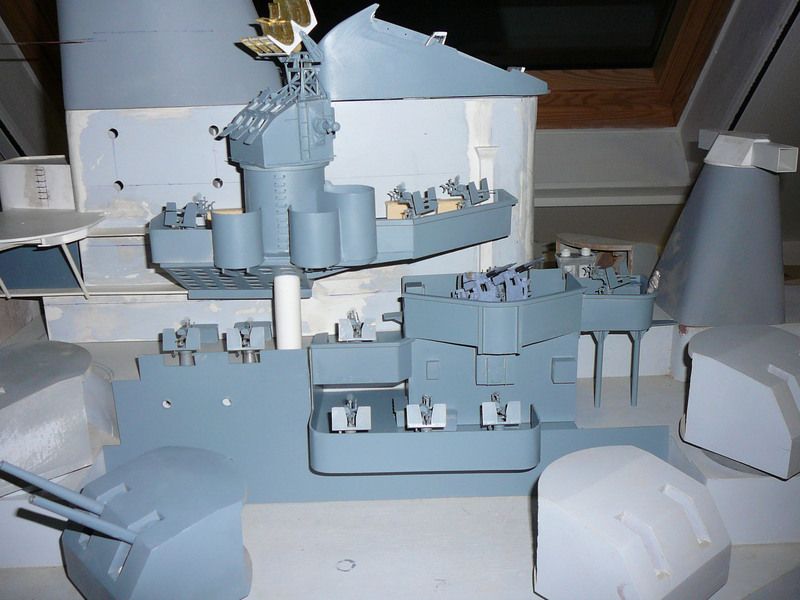 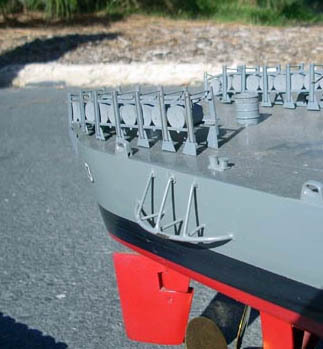 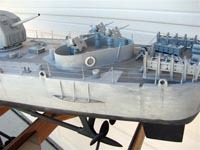 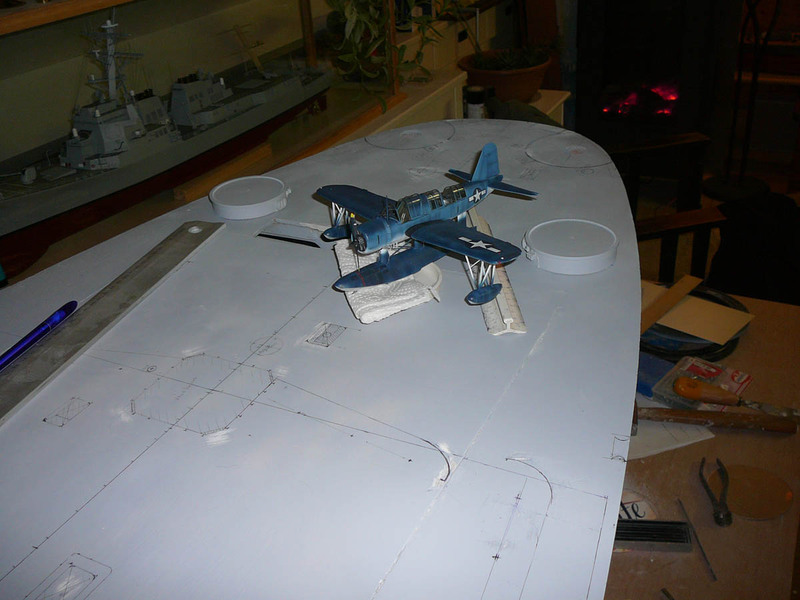 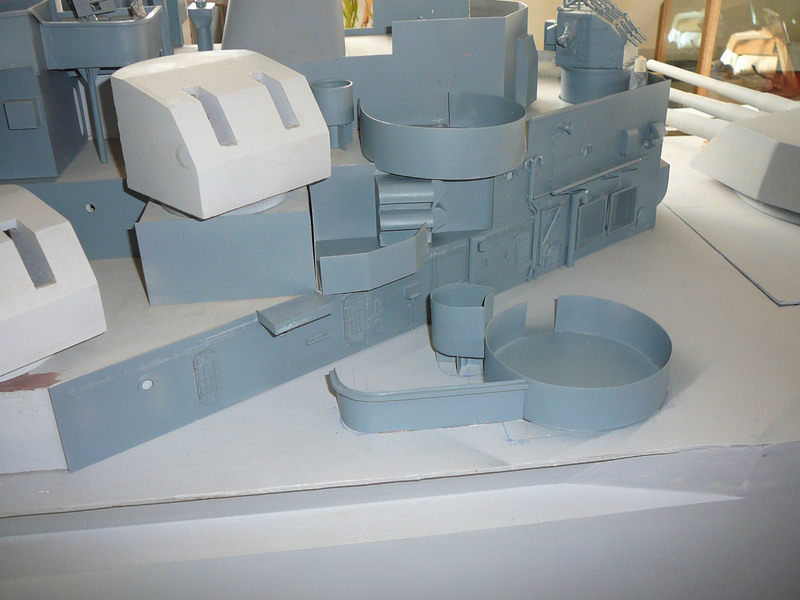 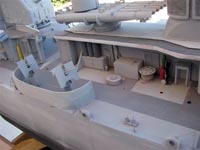 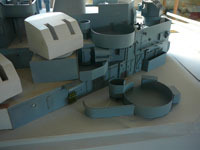 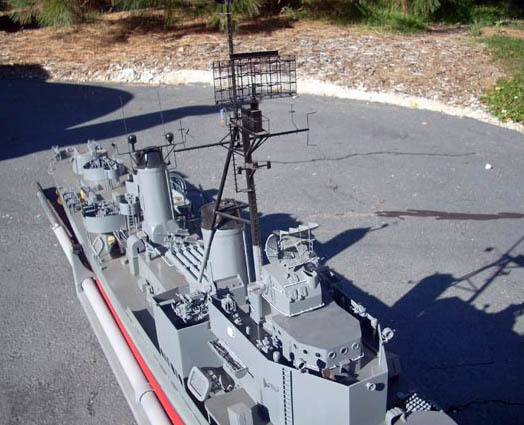 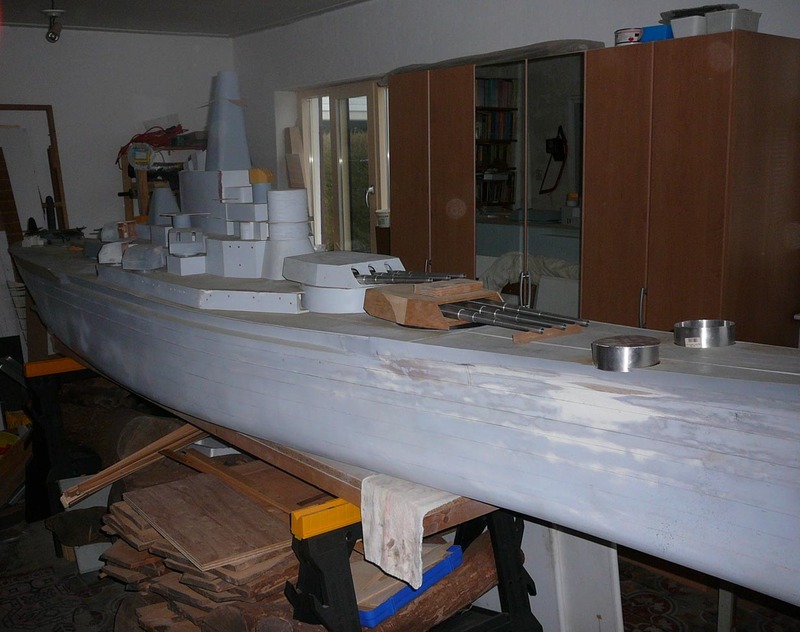 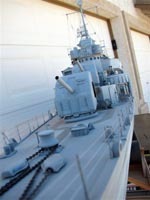 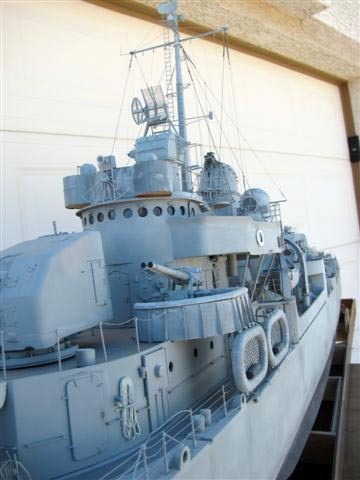 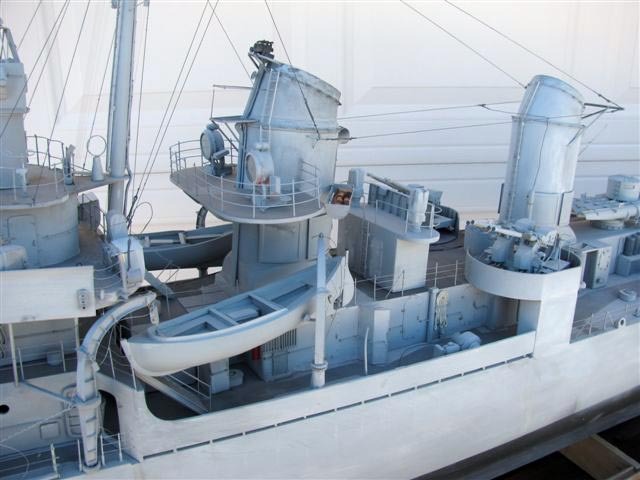 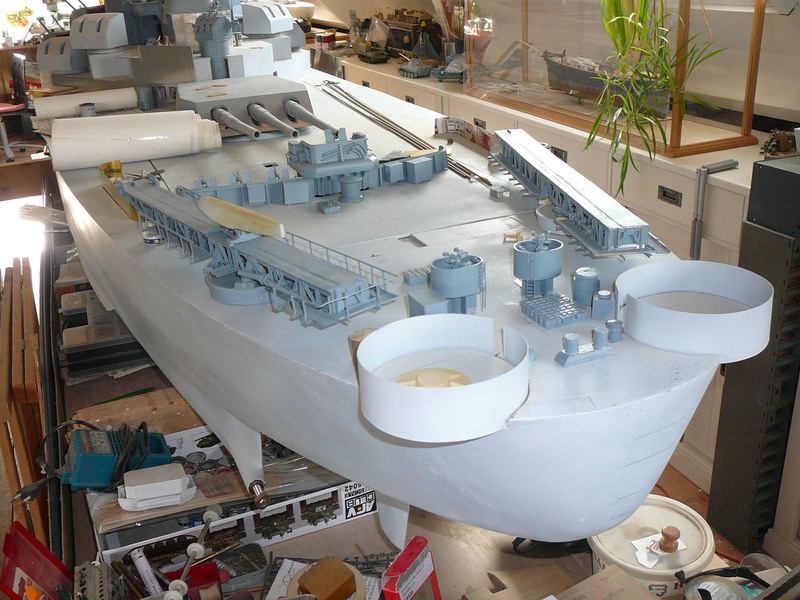 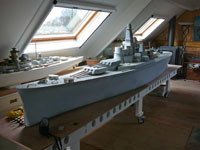 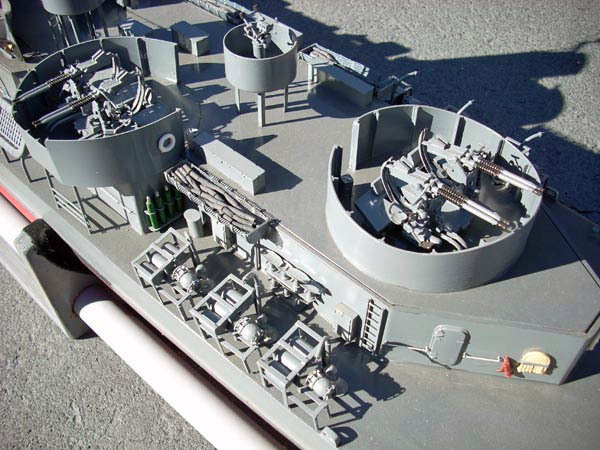 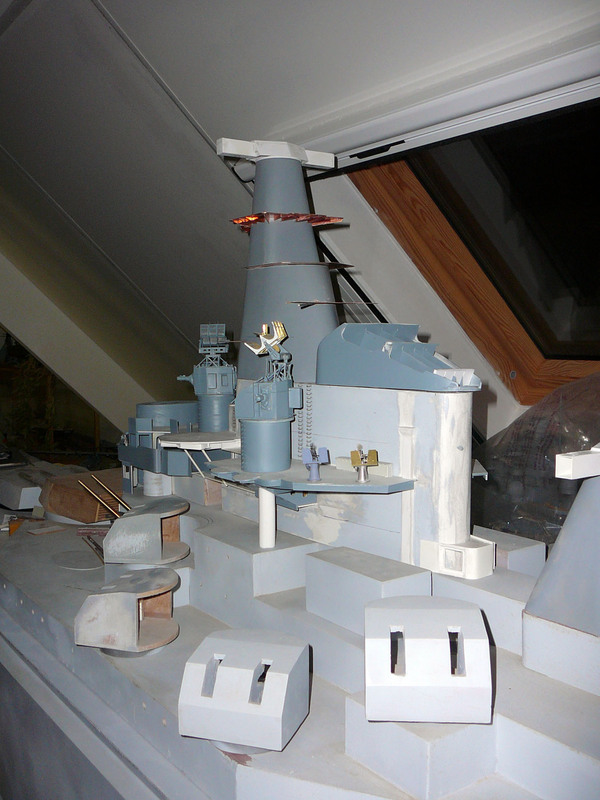 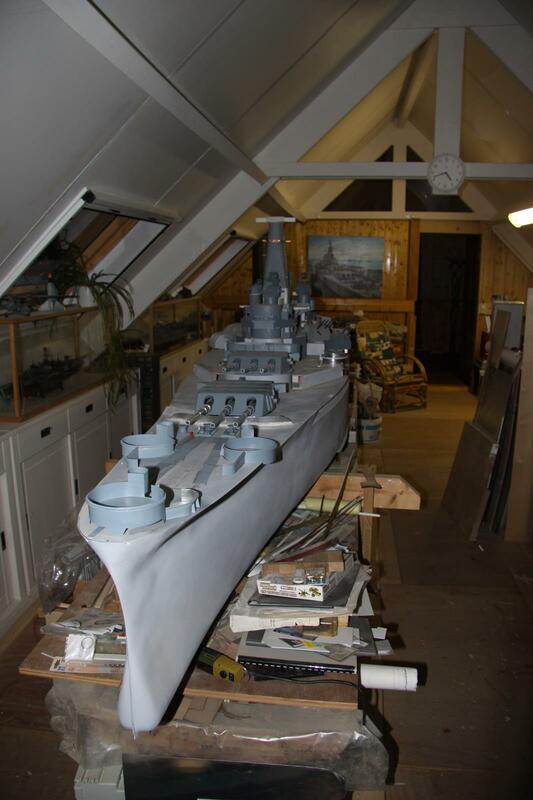 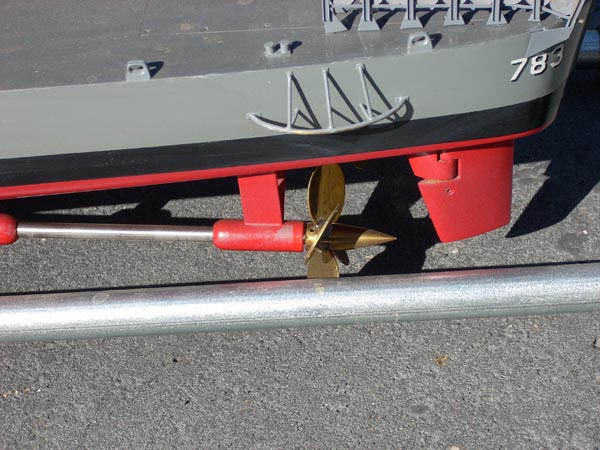 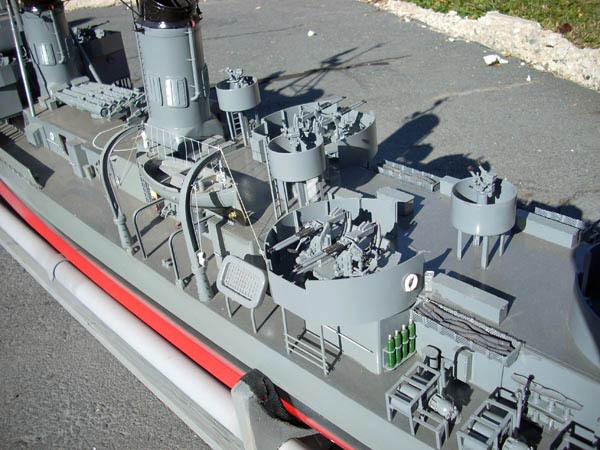 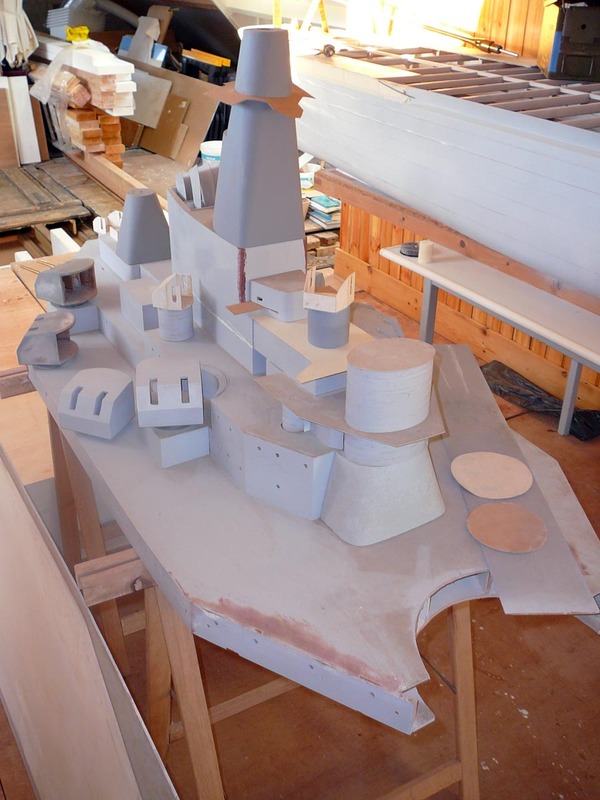 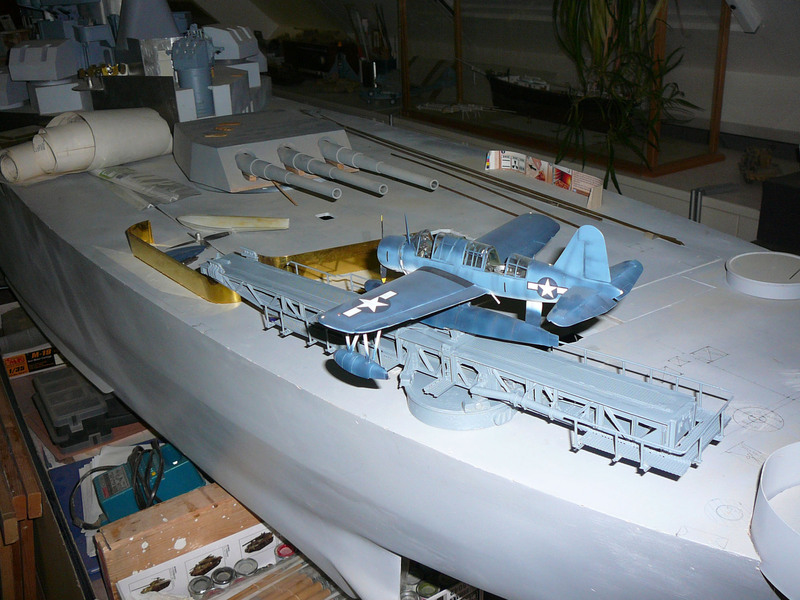 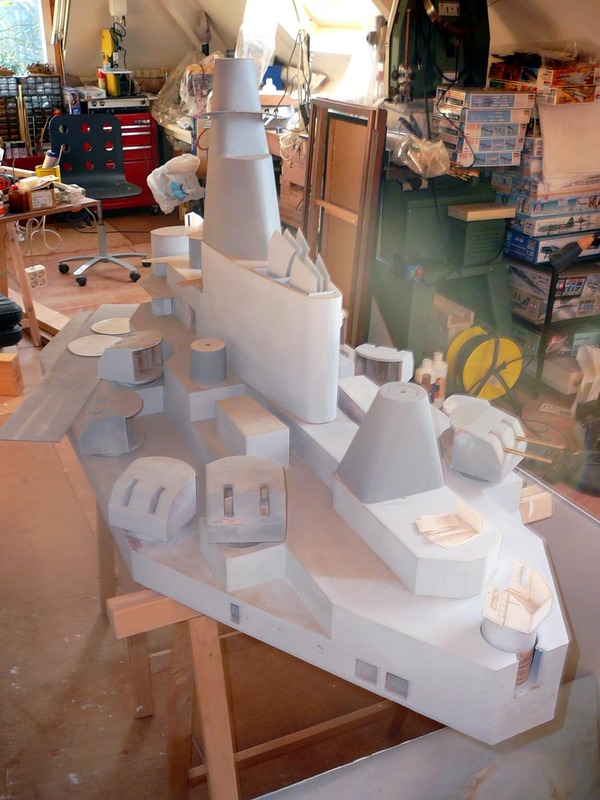 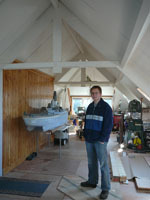 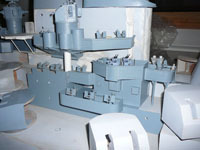 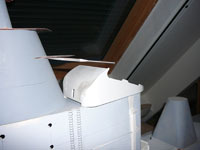 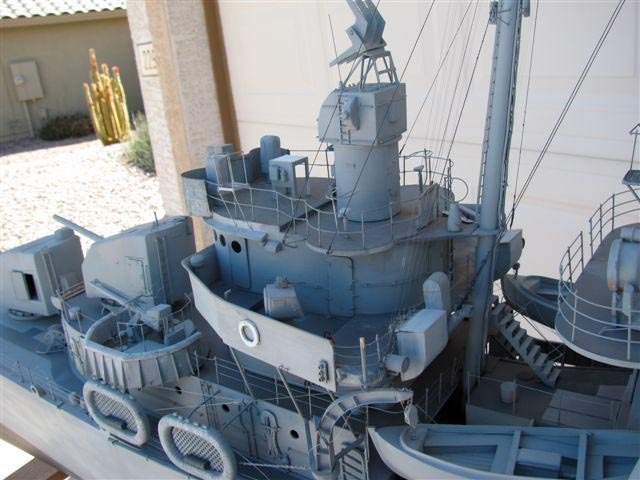 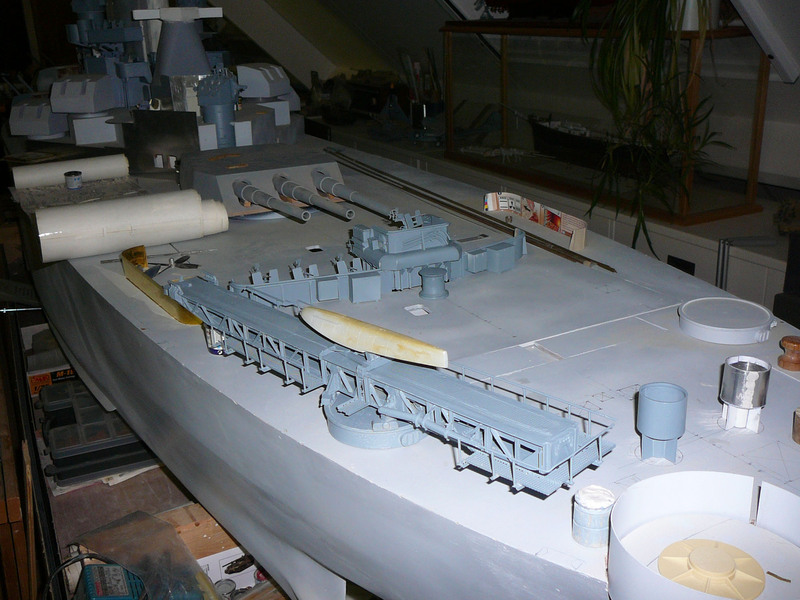 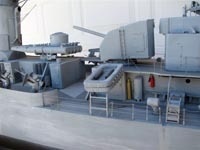 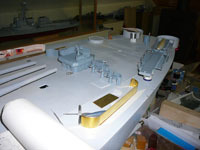 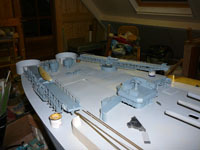 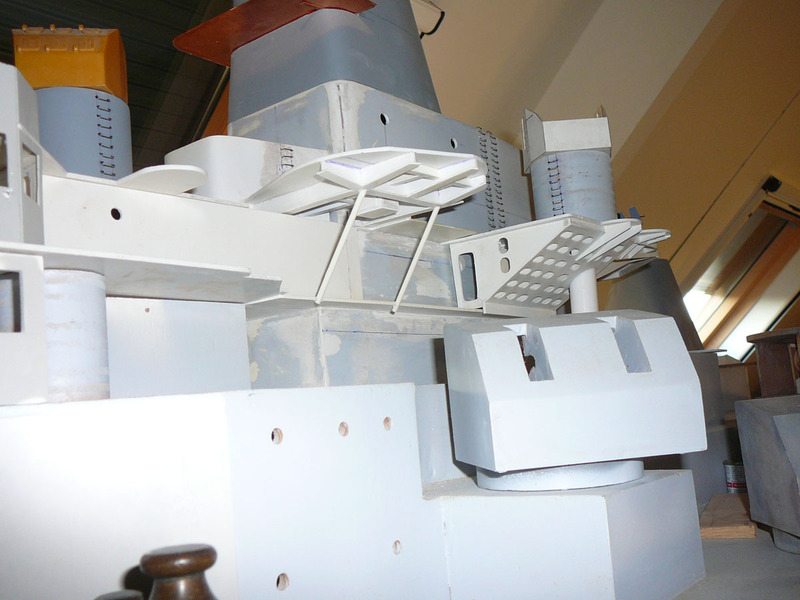 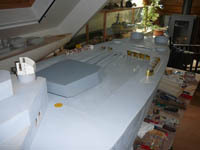 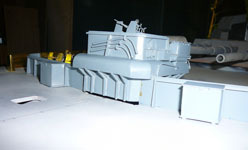 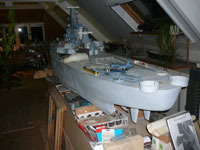 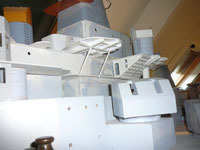 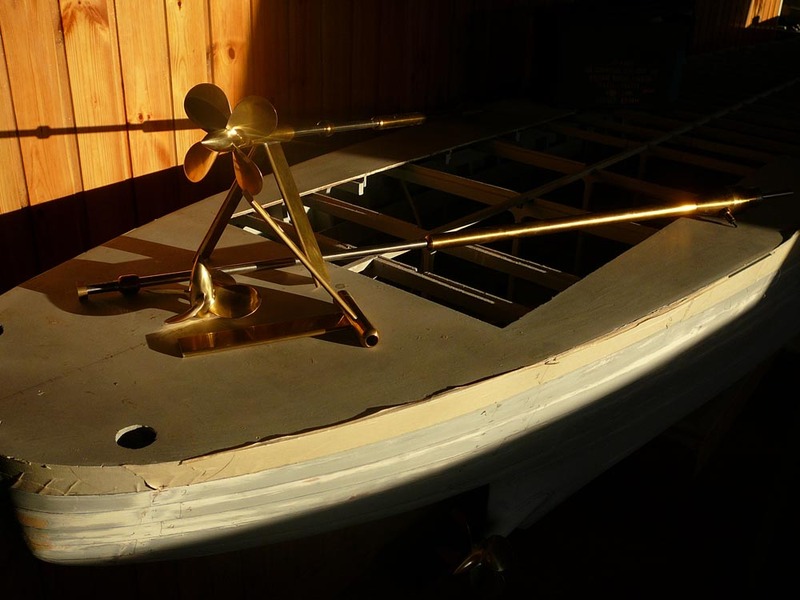 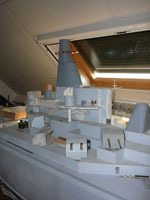 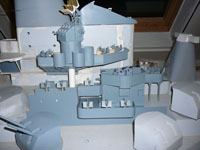 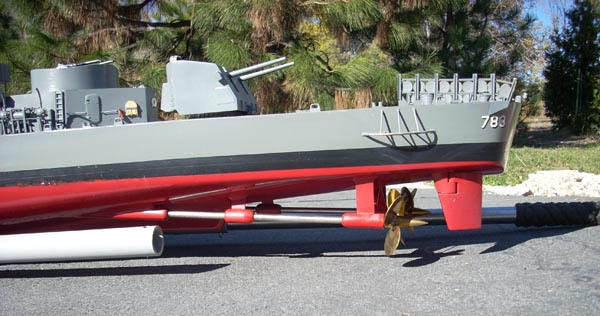 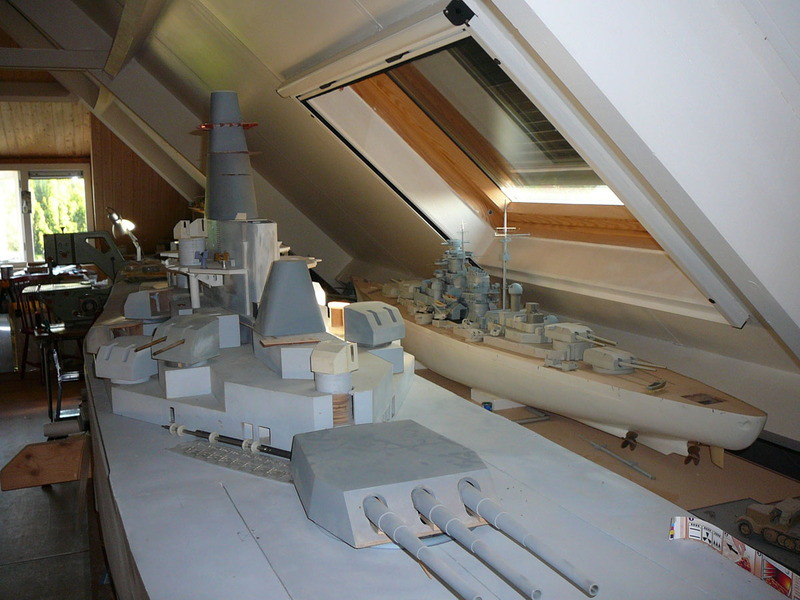 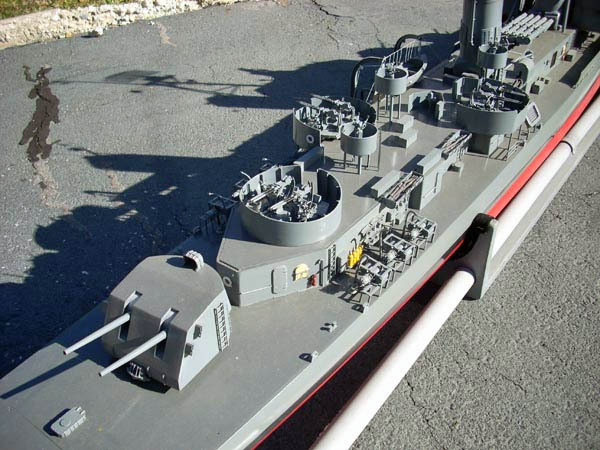 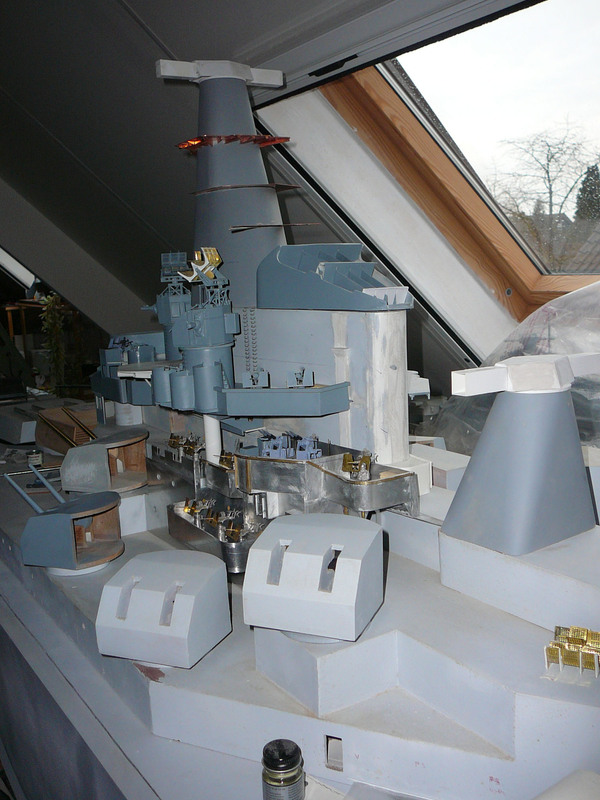 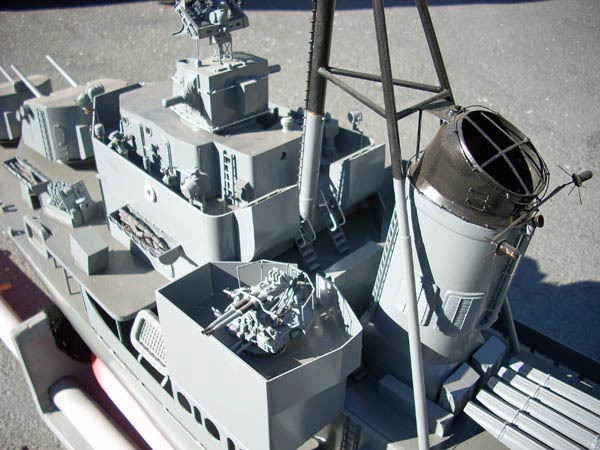 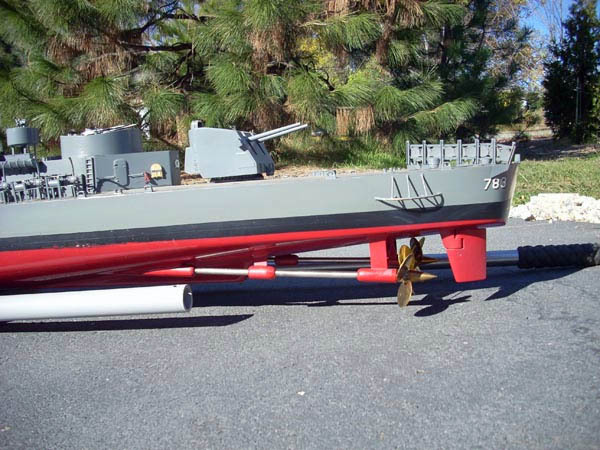 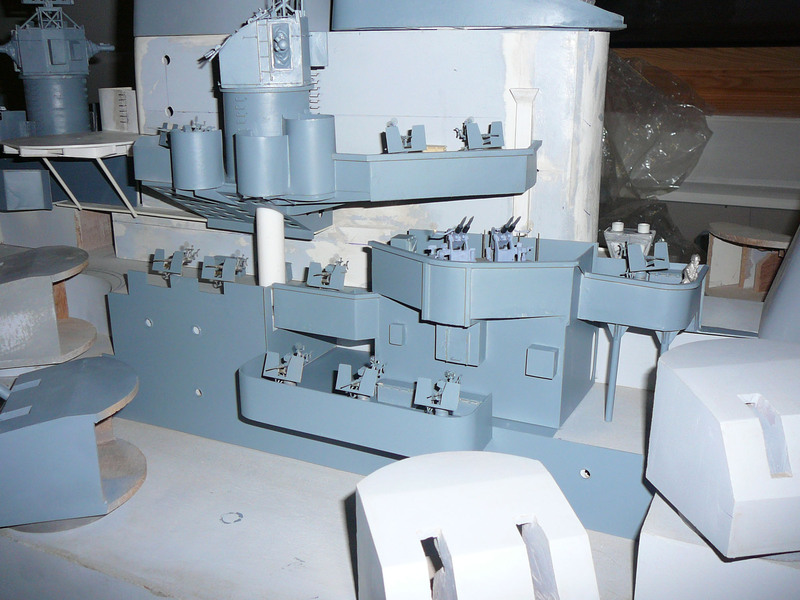 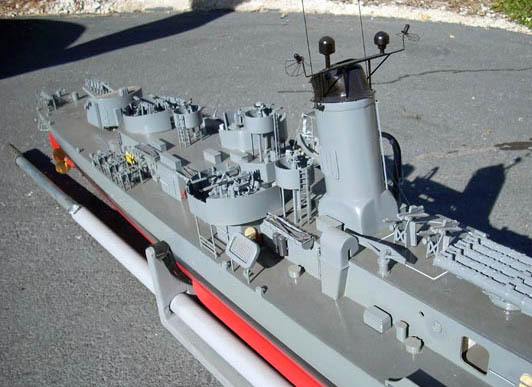 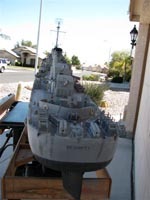 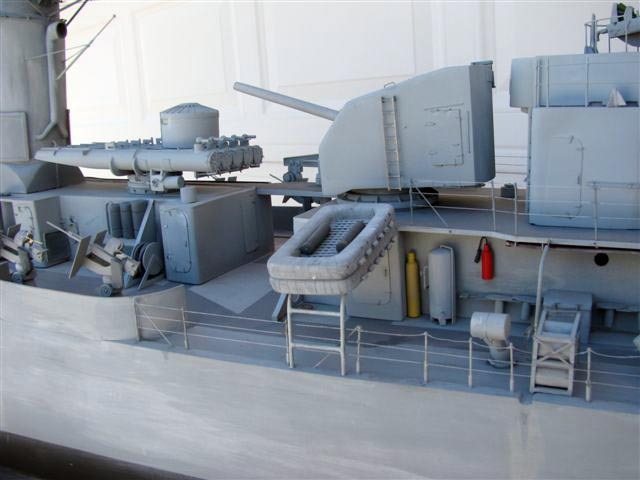 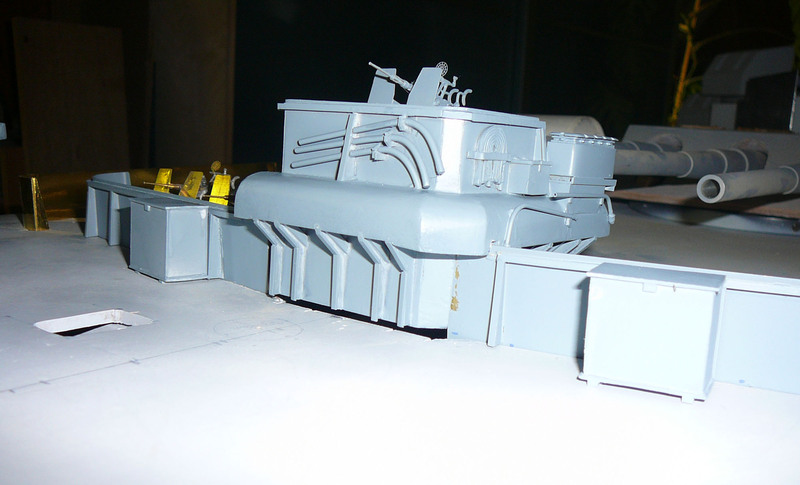 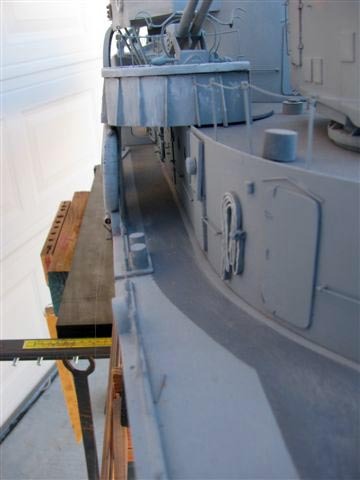 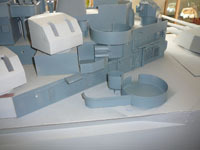 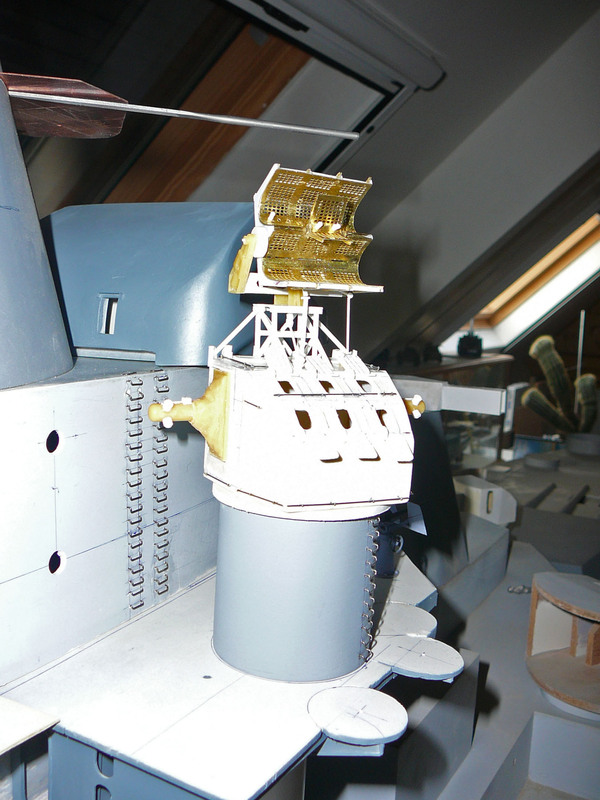 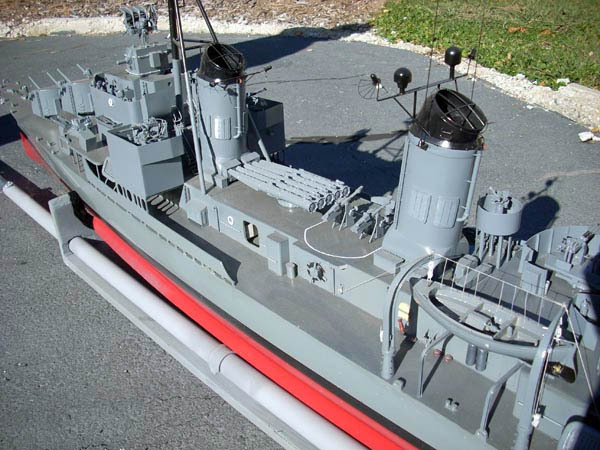 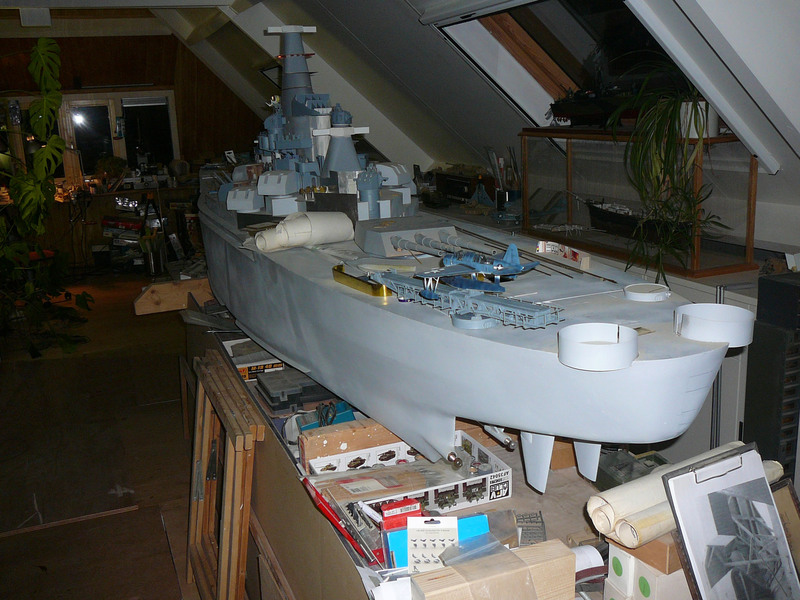 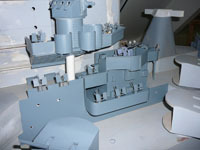 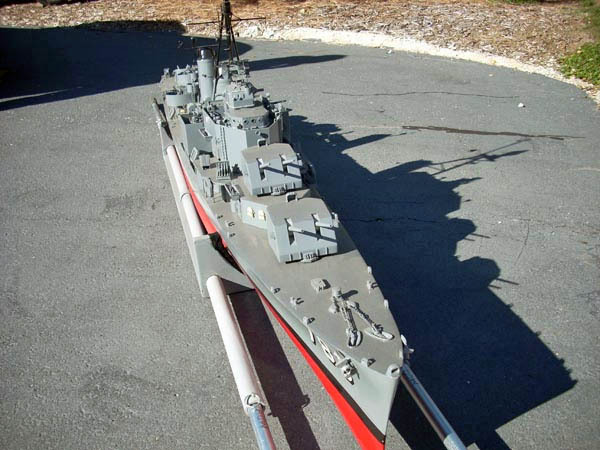 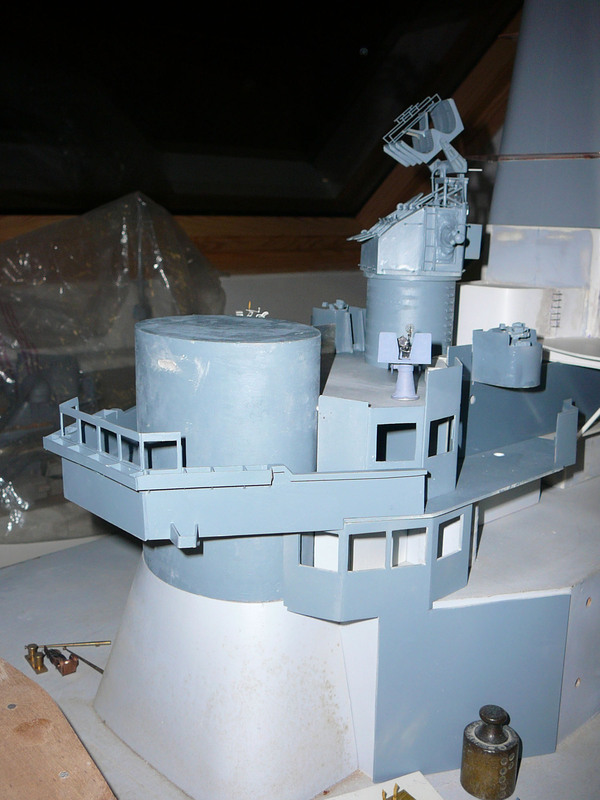 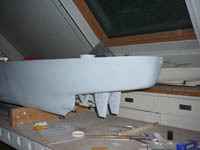 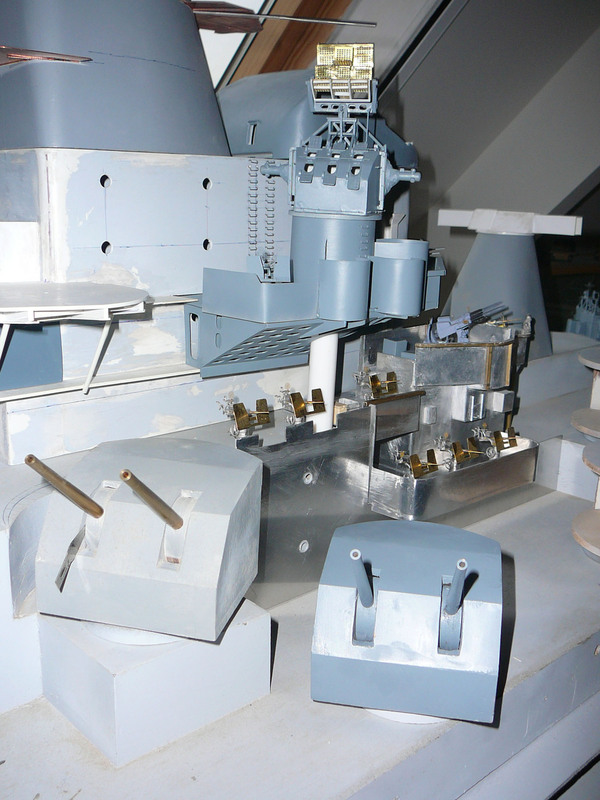 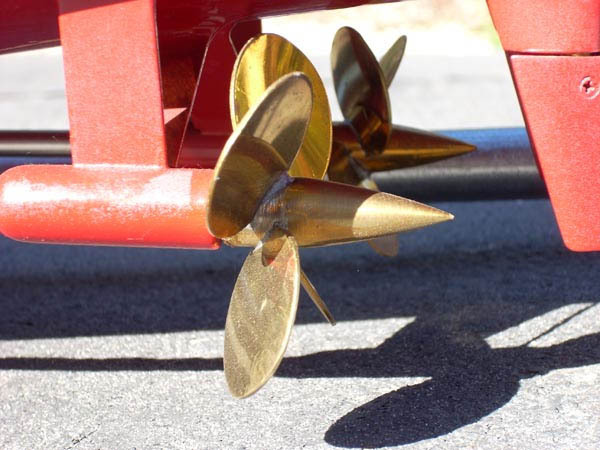 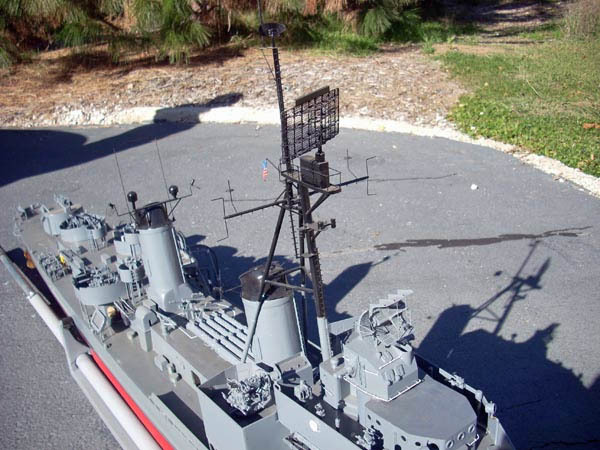 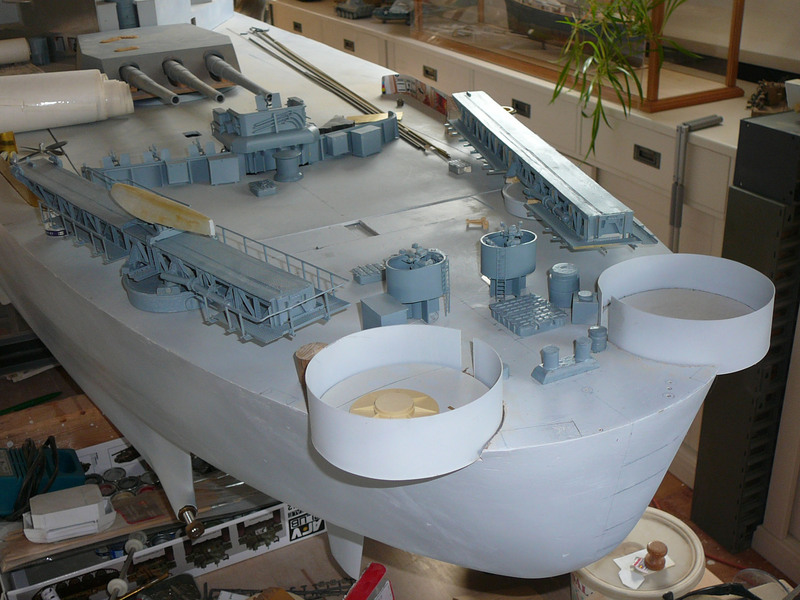 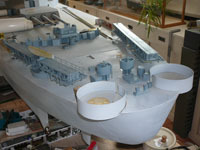 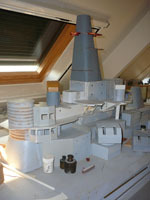 Gordon built this model using a hull with fittings from The Scale Shipyard. 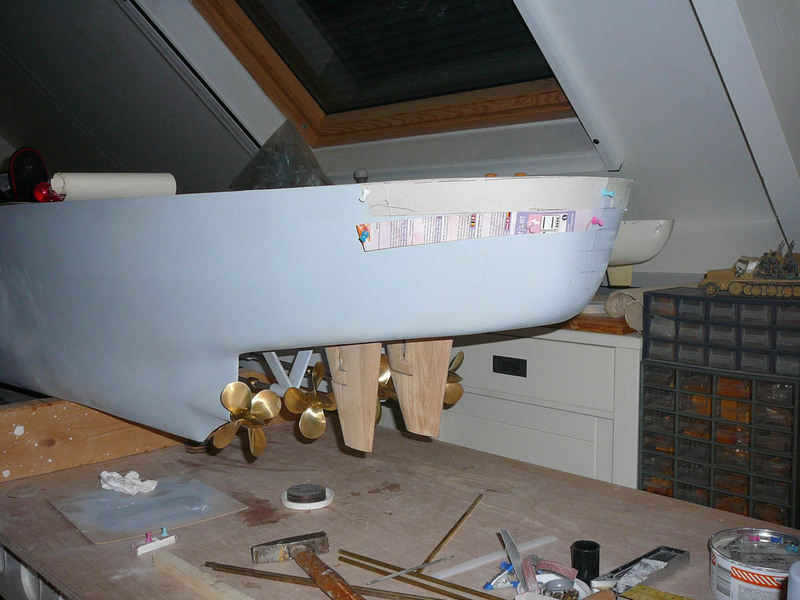 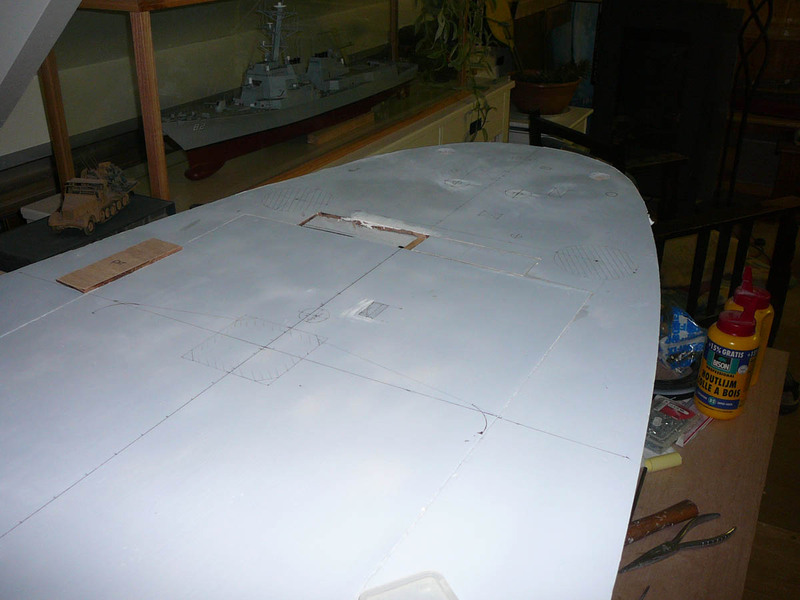 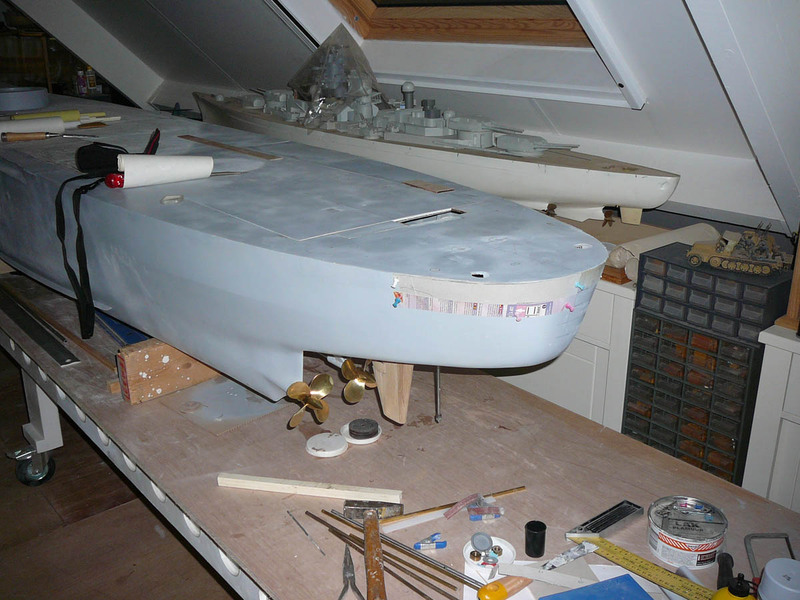 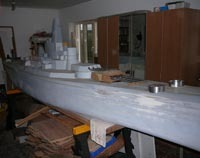 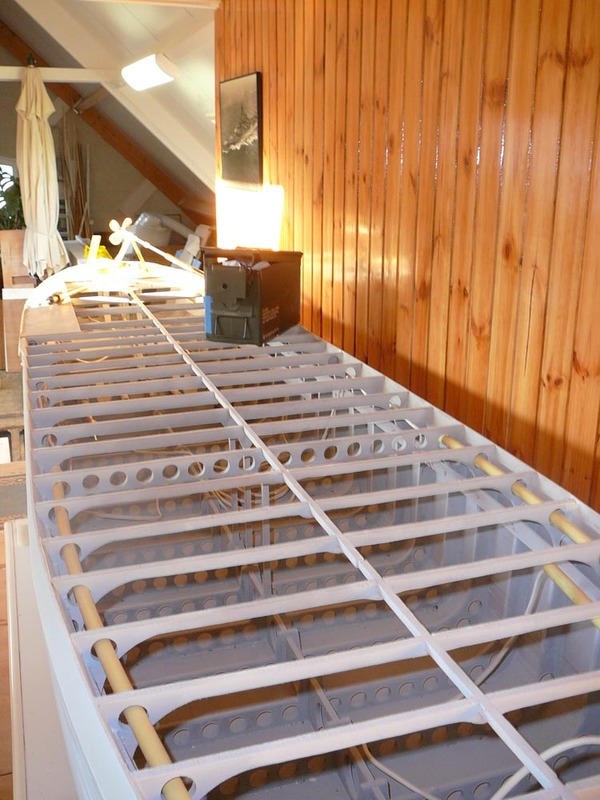 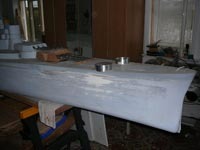 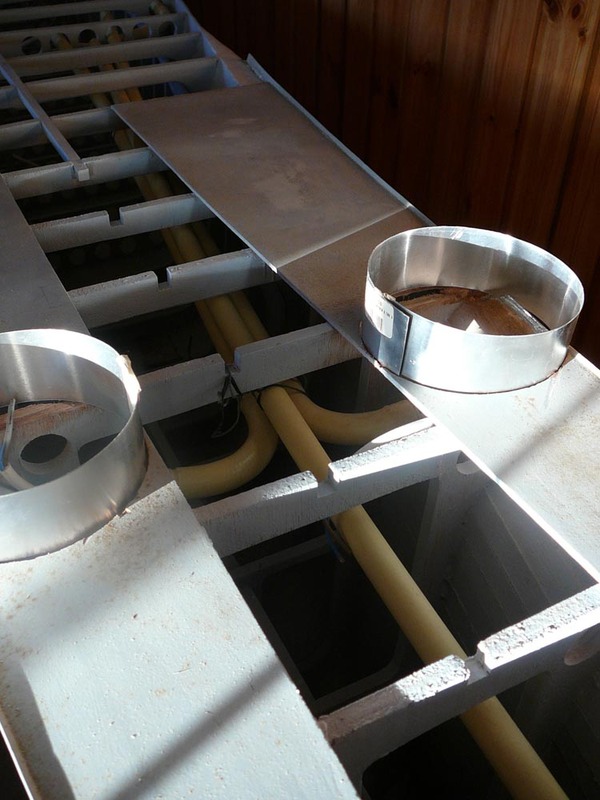 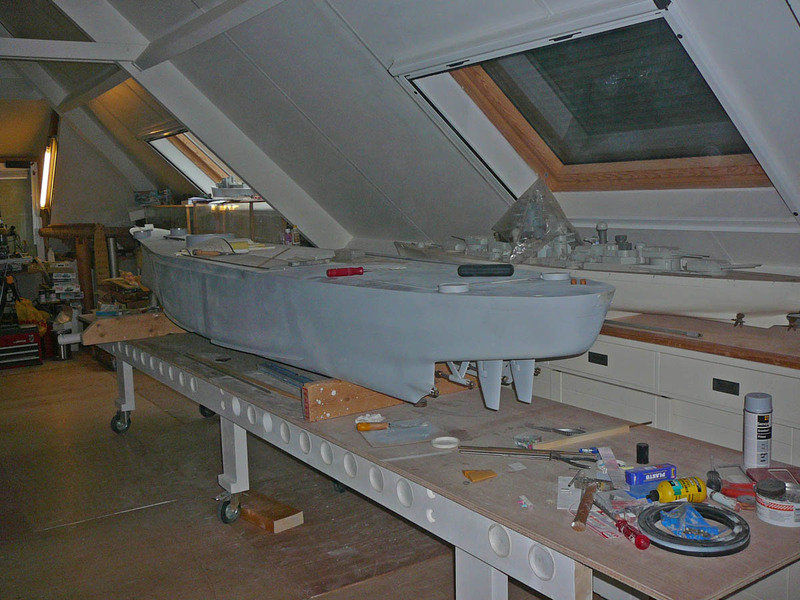 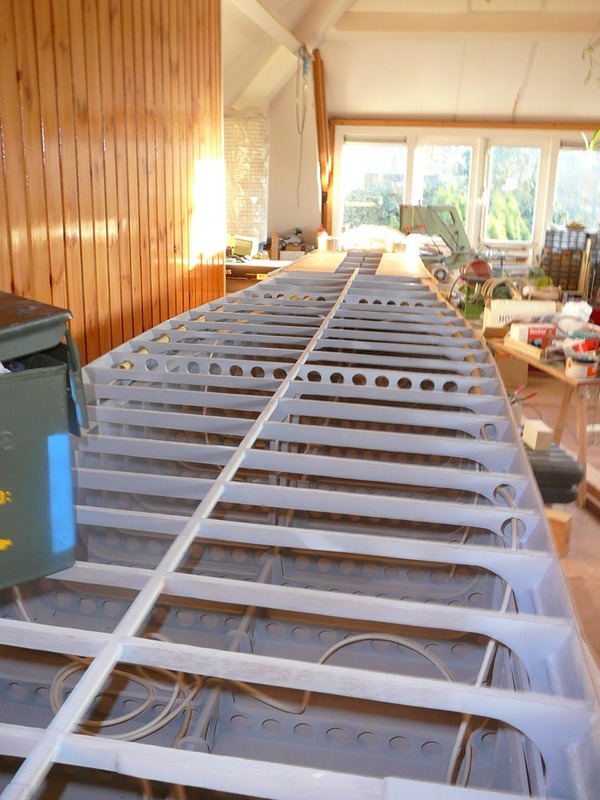 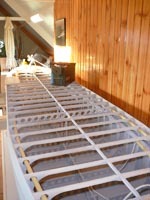 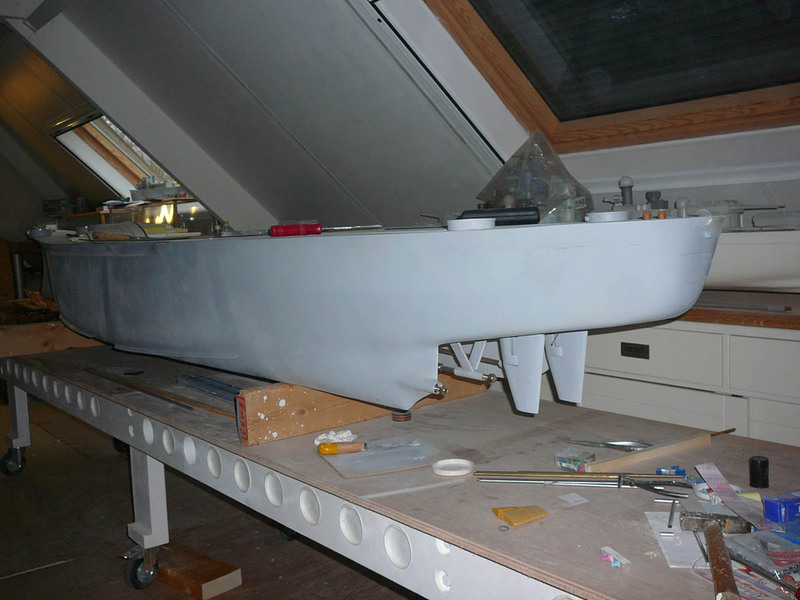 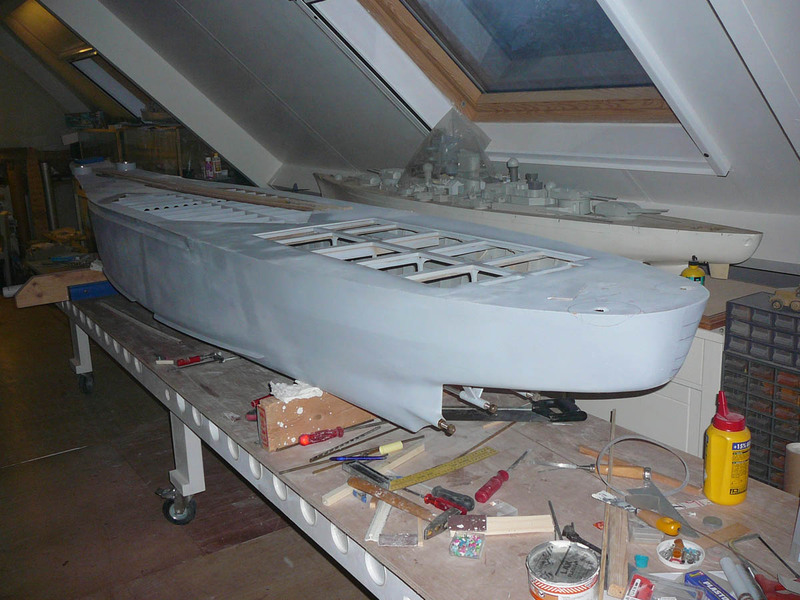 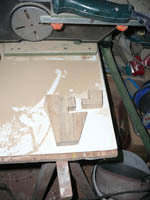 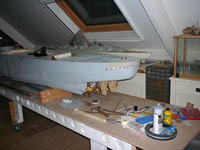 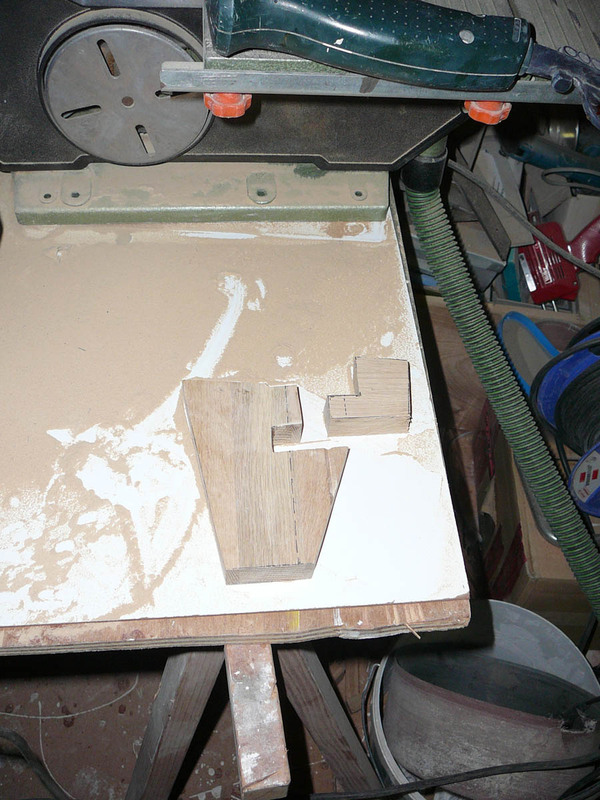 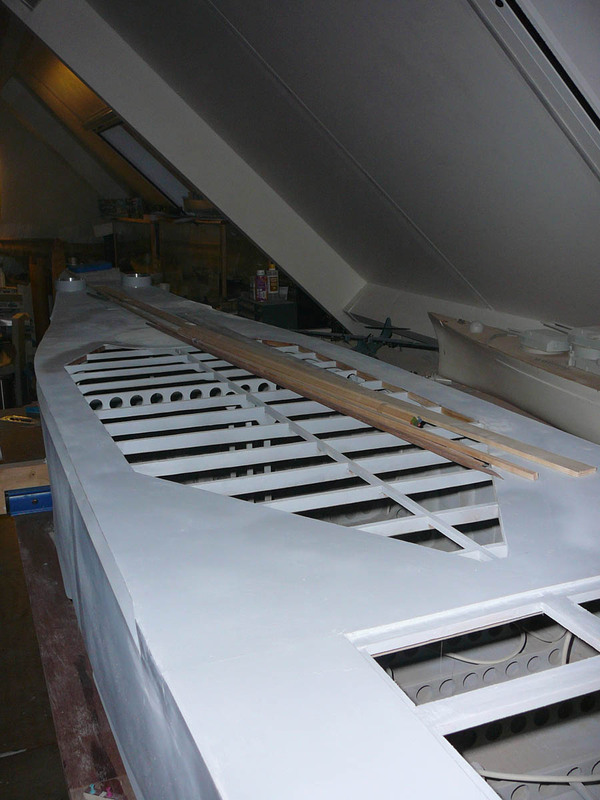 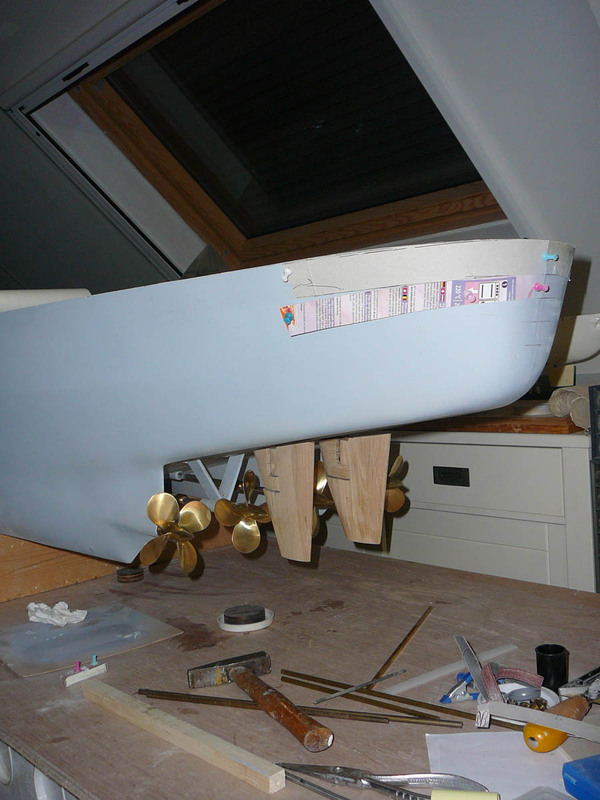 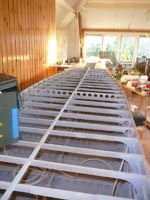 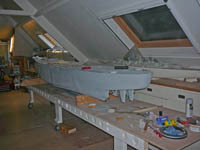 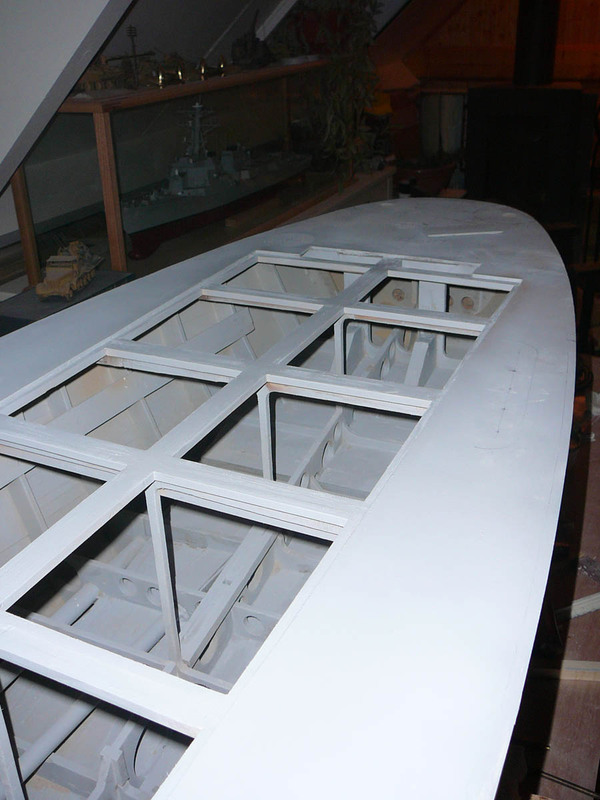 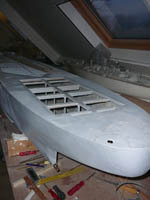 Roel writes: Having constructed a working table which will later carry the glass case, I started working on the missing bilge keels. 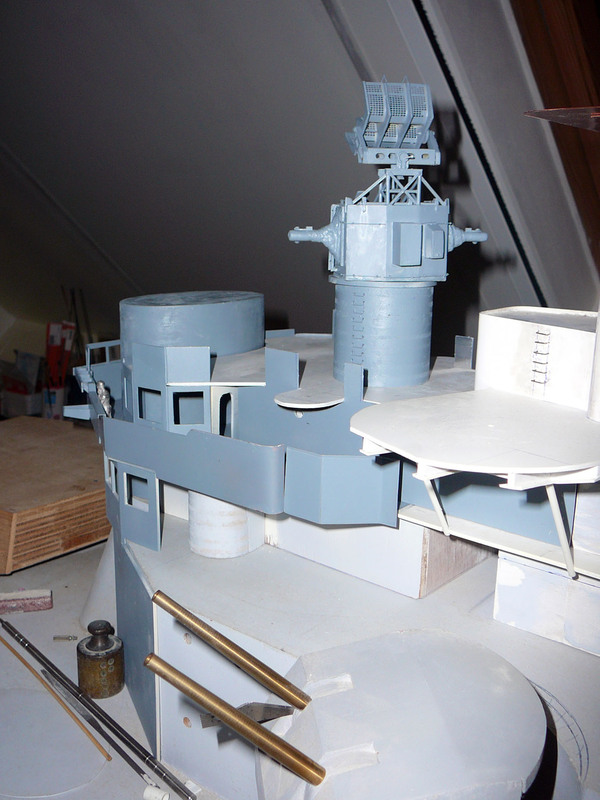 The four prop shafts were next. 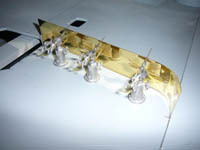 OS2U Scout Plane - The OS2U was built by Kyle Williams, Mobile, Alabama, making use of the Monogram kit with the Cutting Edge corrected floats, cockpit, cowling, etc. 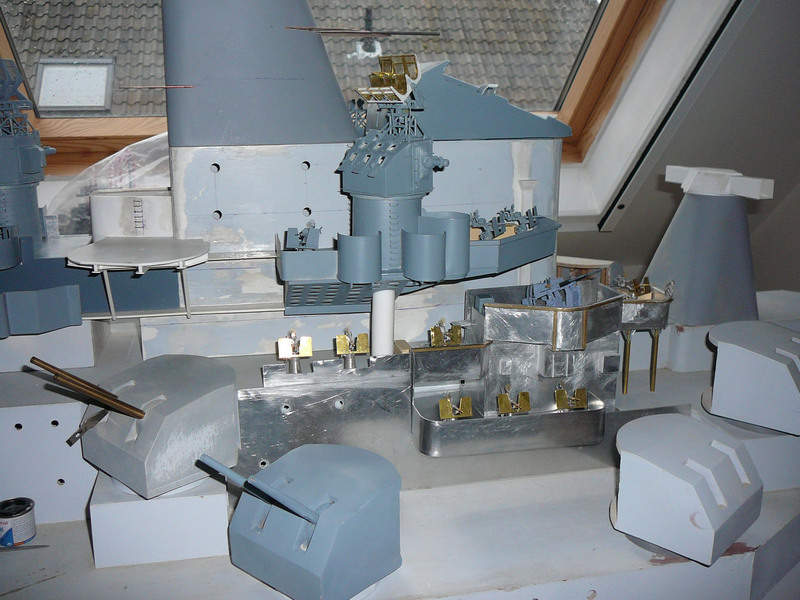 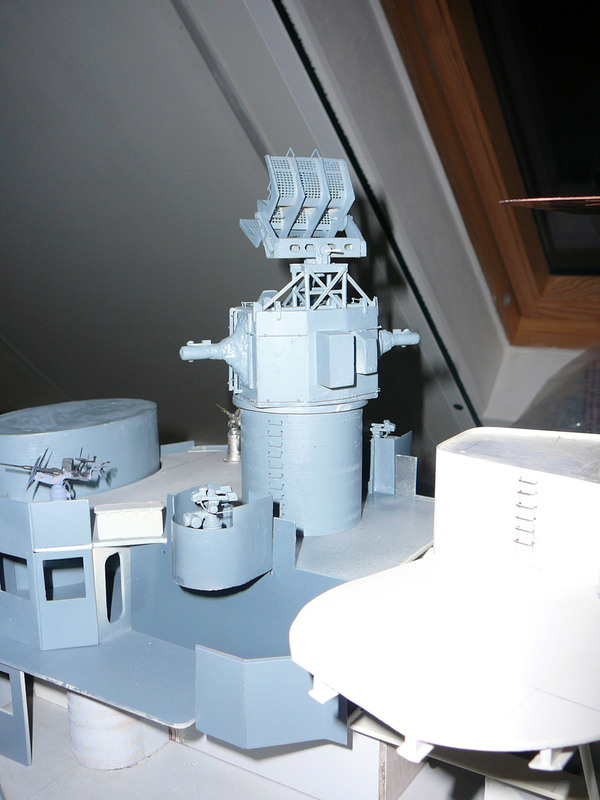 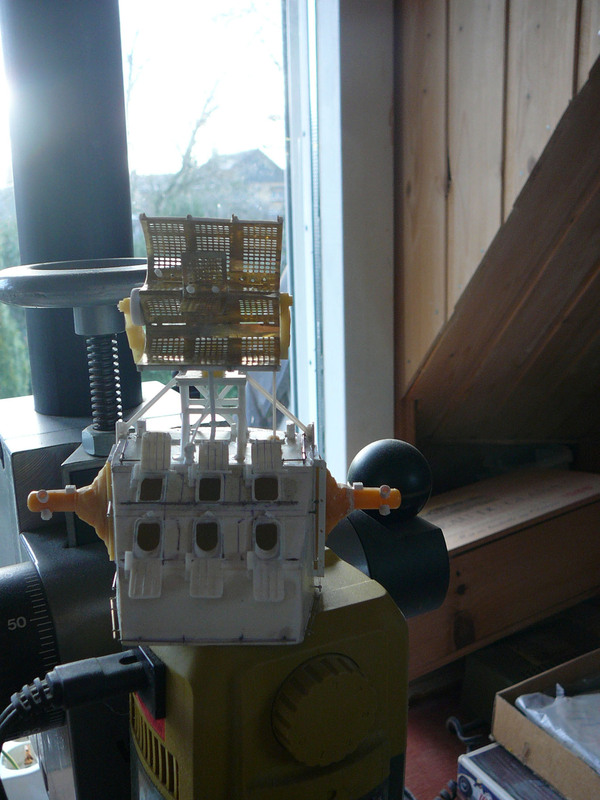 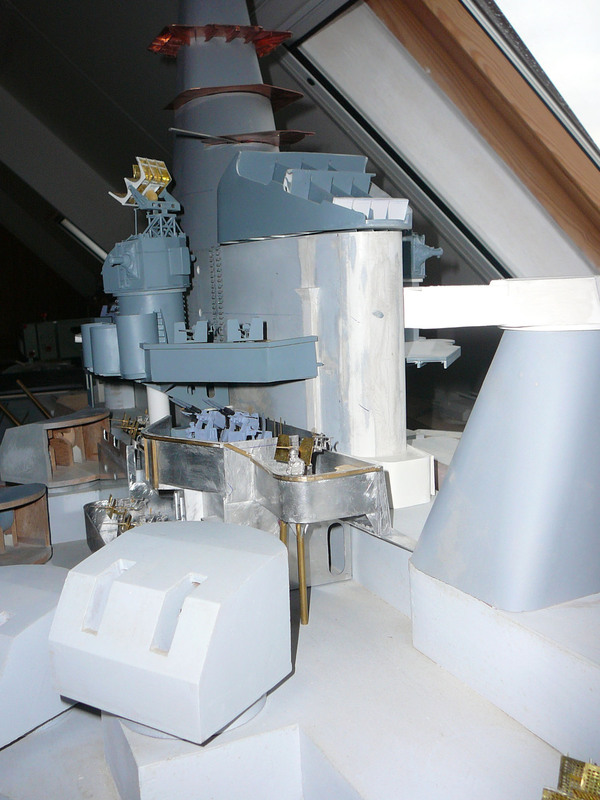 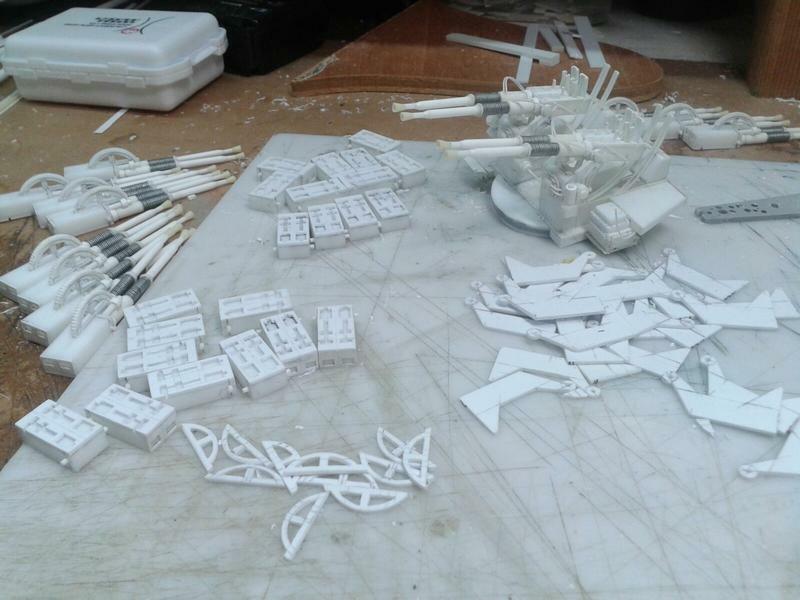 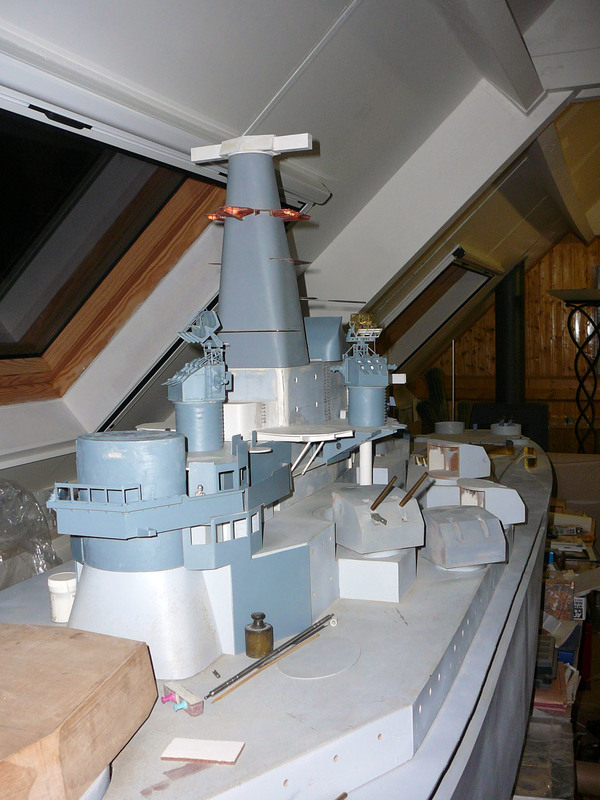 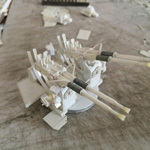 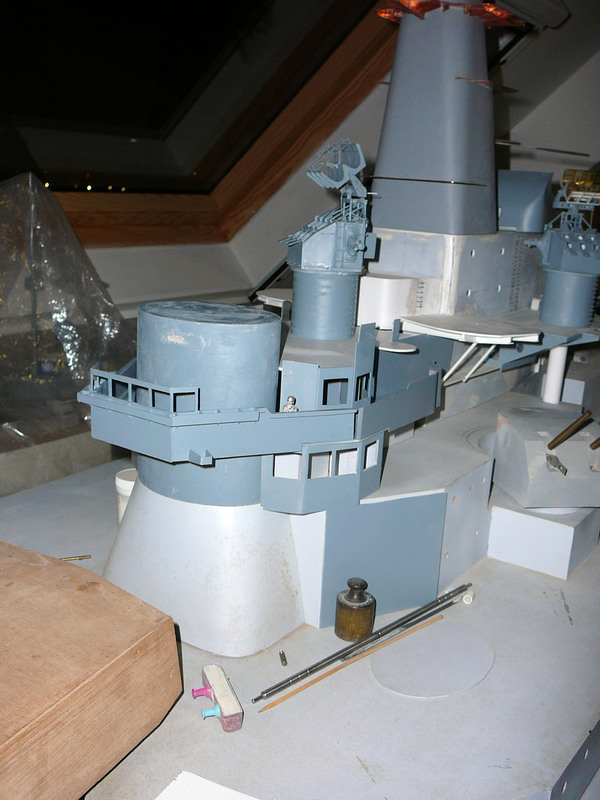 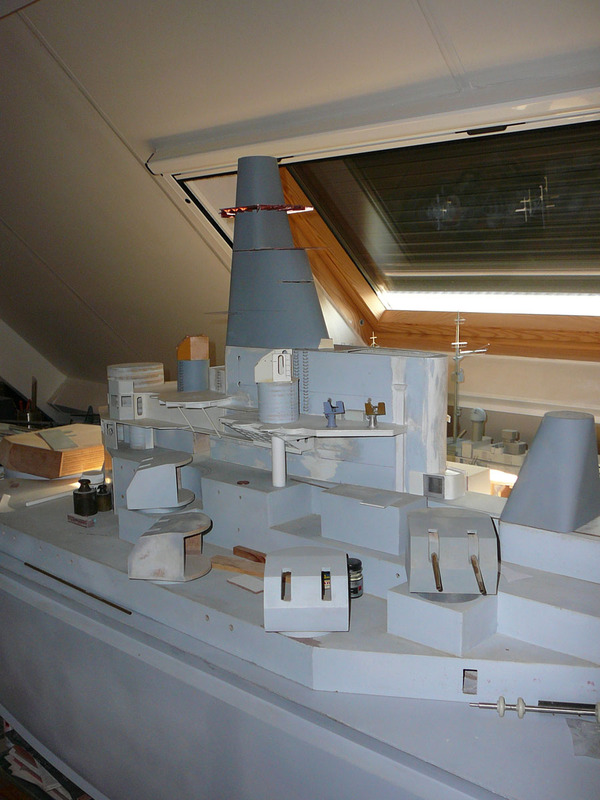 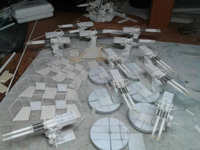 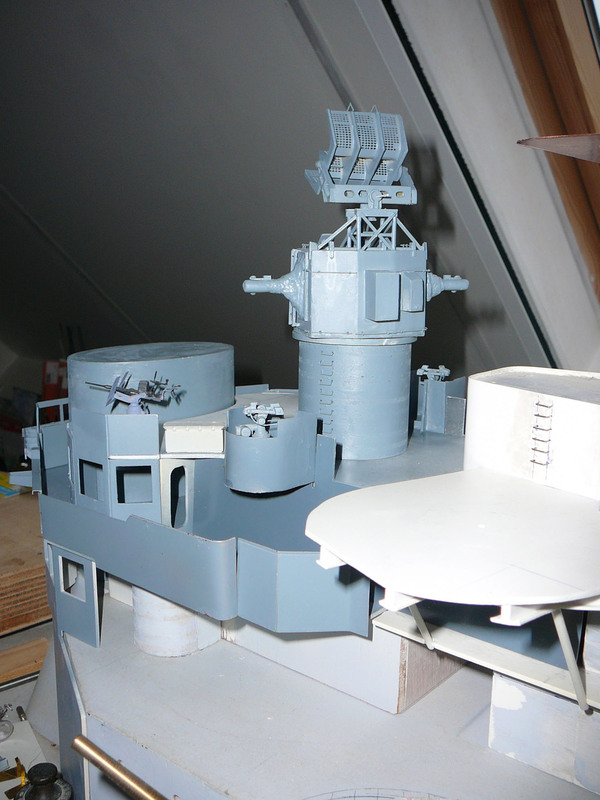 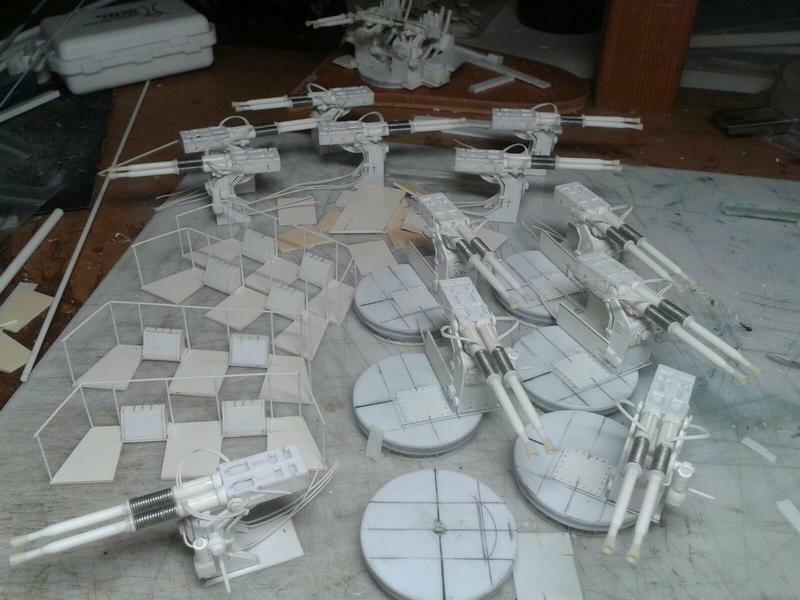 Pieter writes: Here some new progress views of my model- the rangefinders took up some time- what is lacking are some screw bolts- I already bought them on e-bay and will fit them later. 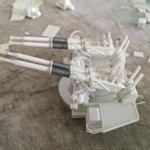 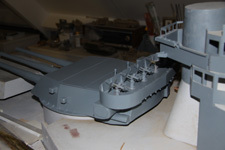 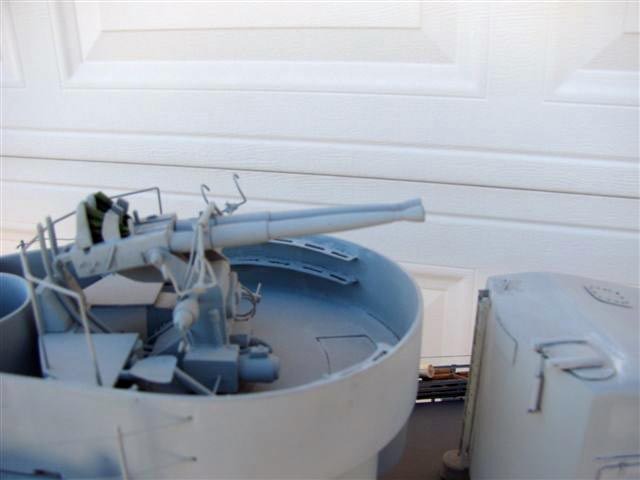 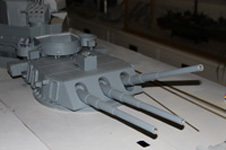 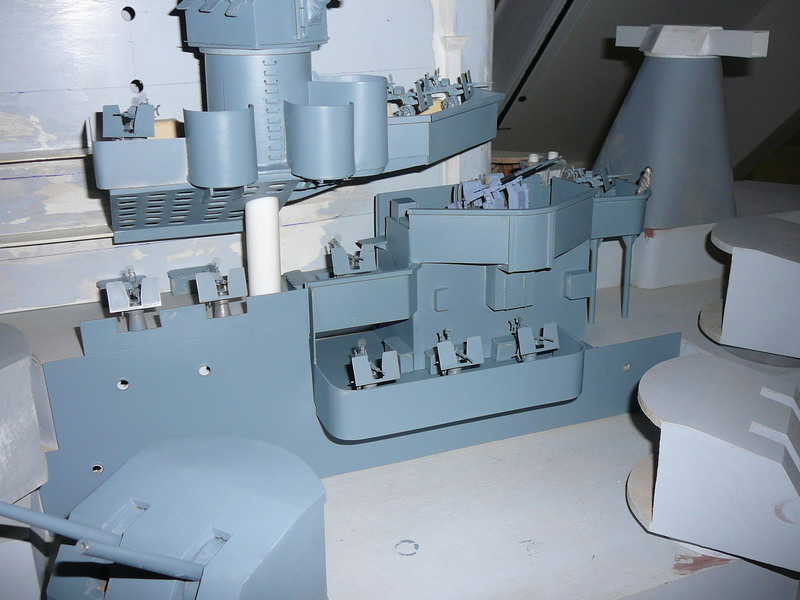 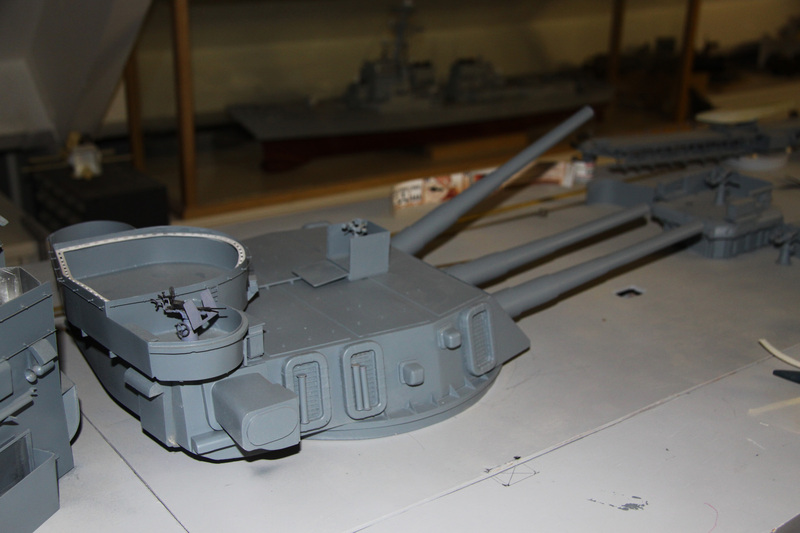 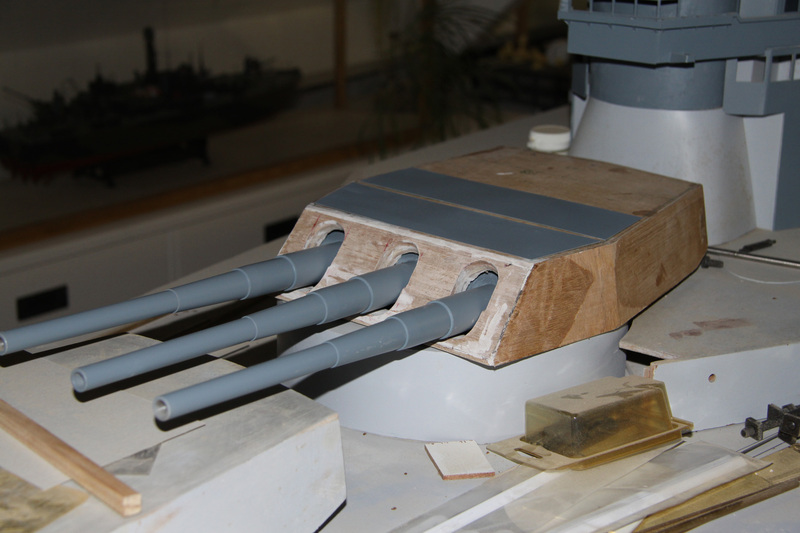 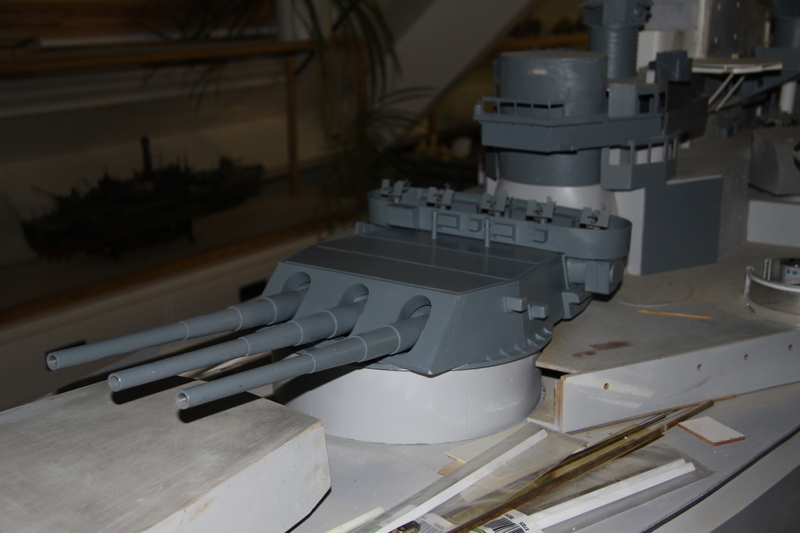 A switch on the back plate of her quad 40mm mount also has to be made but for the time being I will first continue some work on the #2 16-Inch turret. This is the USS Bennett DD473, which was constructed over the course of over two years. 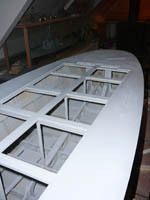 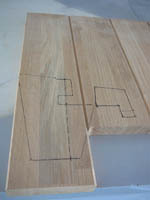 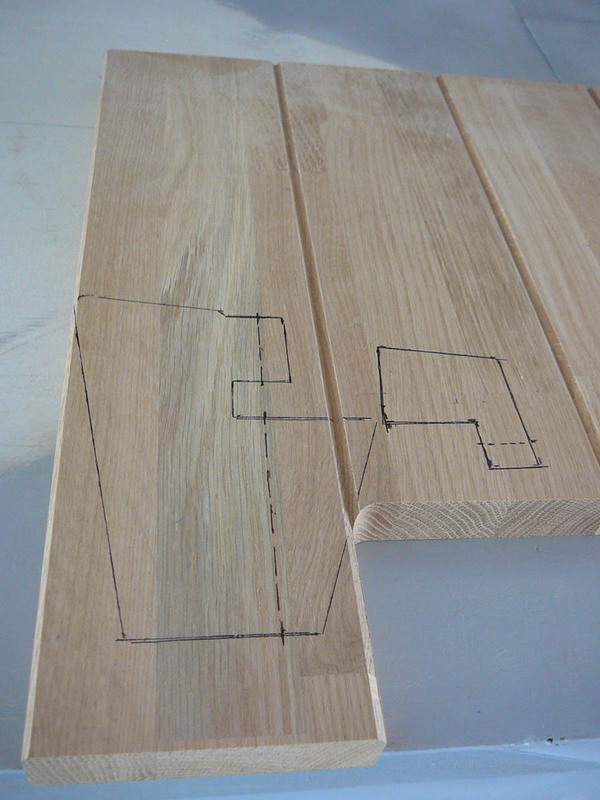 The frame work is 1/4 inch plywood, planked with 3/32 inch maple with a layer of plastic that insures that it is water proof. 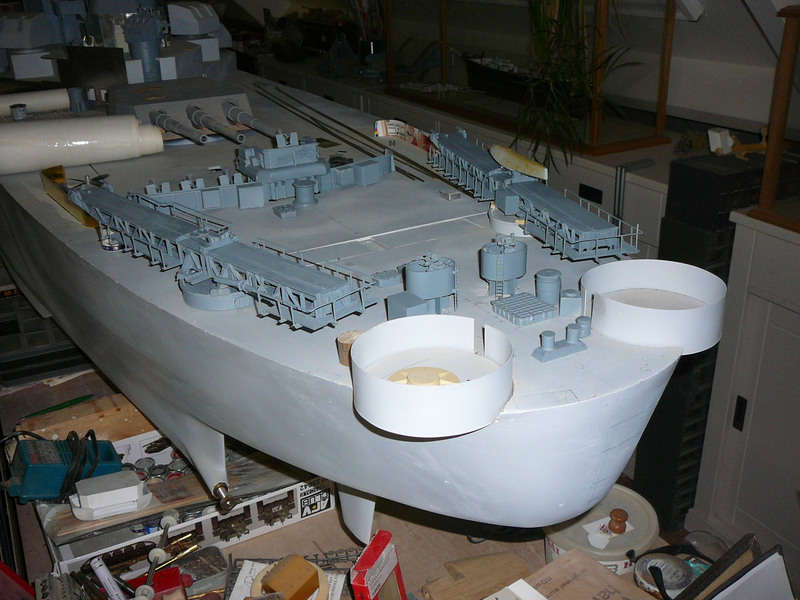 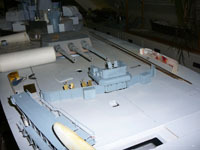 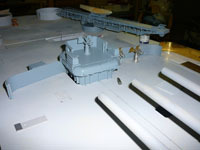 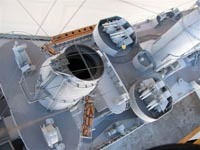 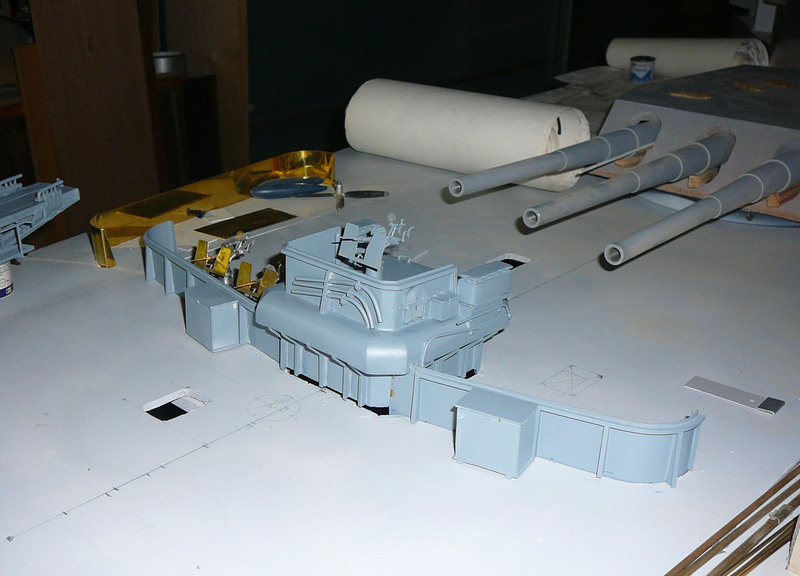 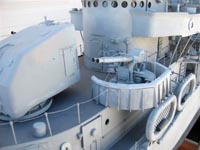 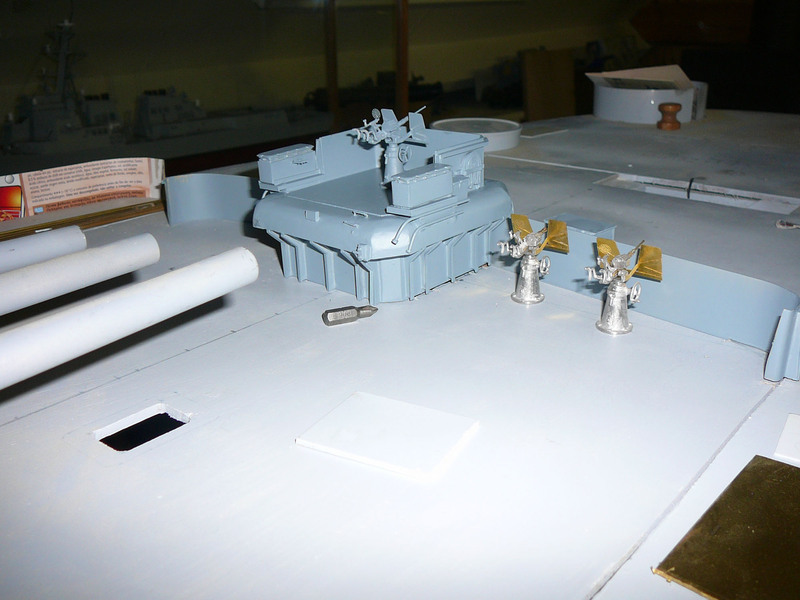 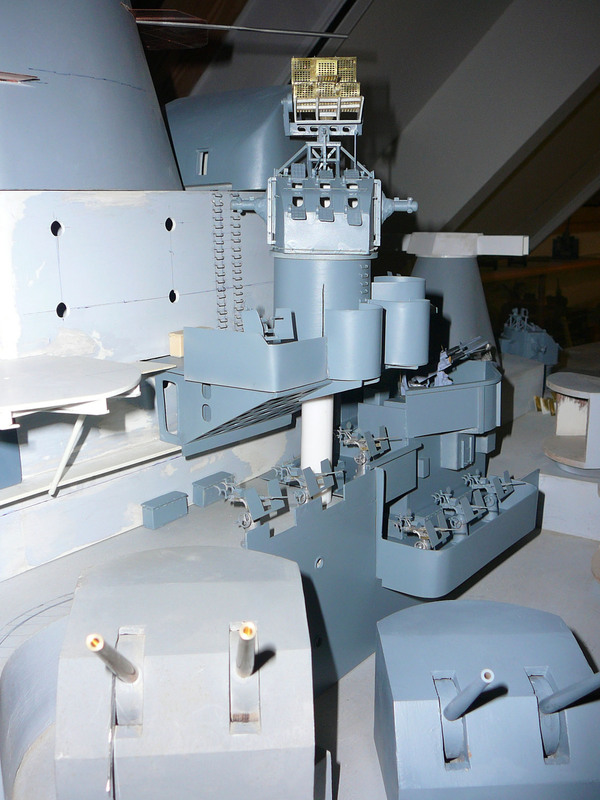 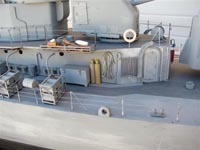 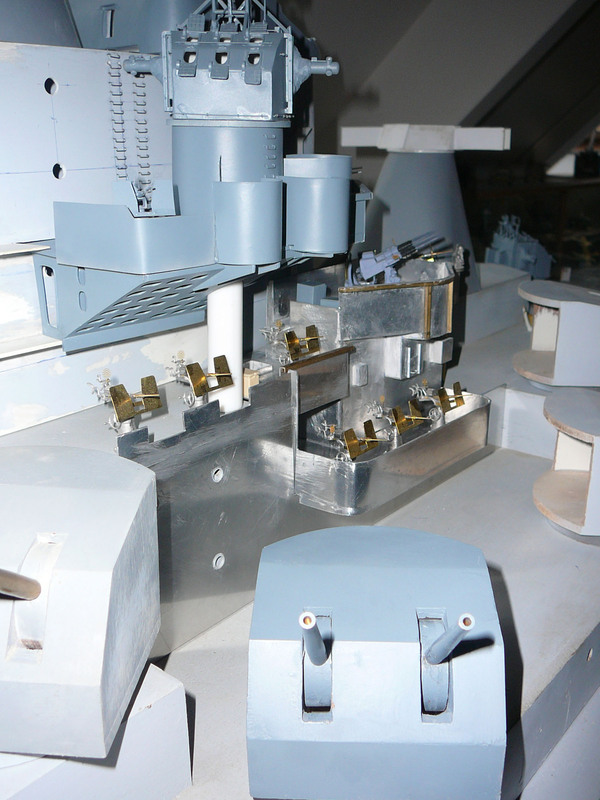 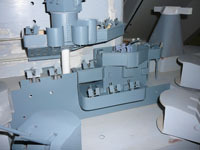 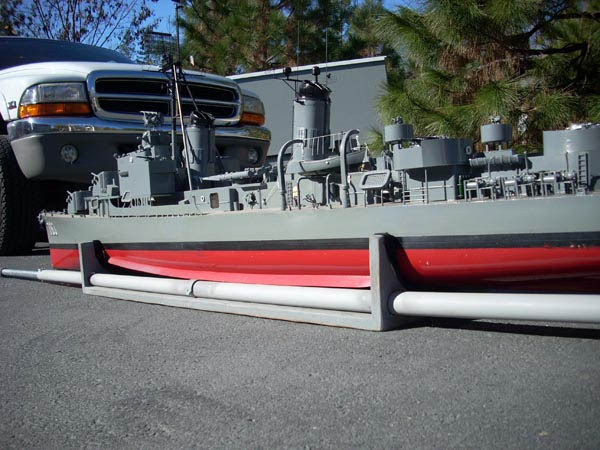 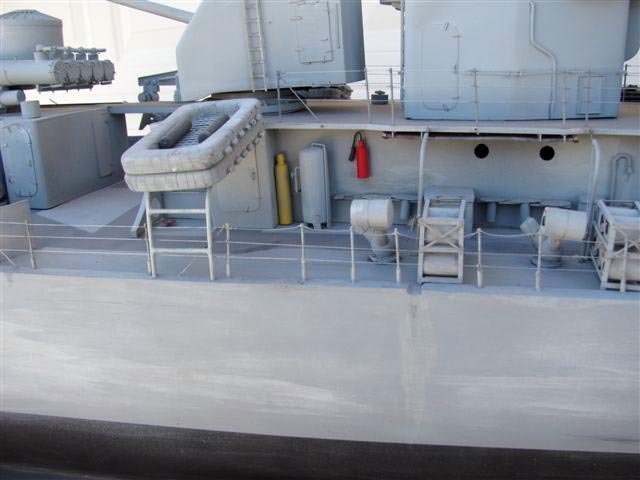 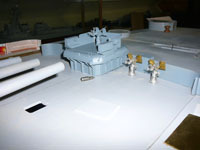 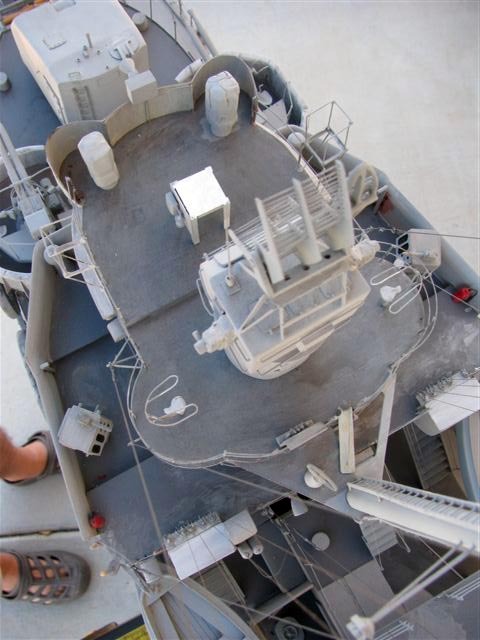 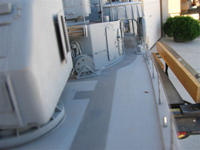 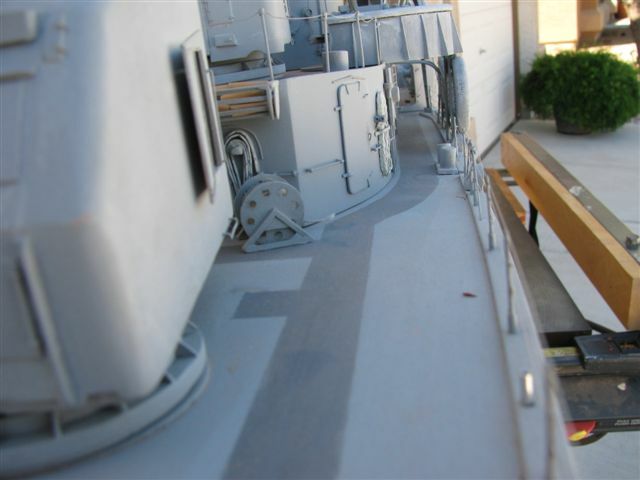 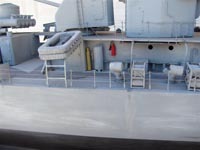 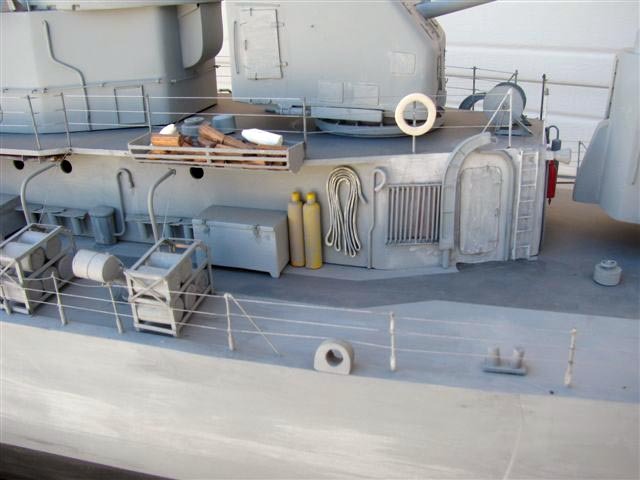 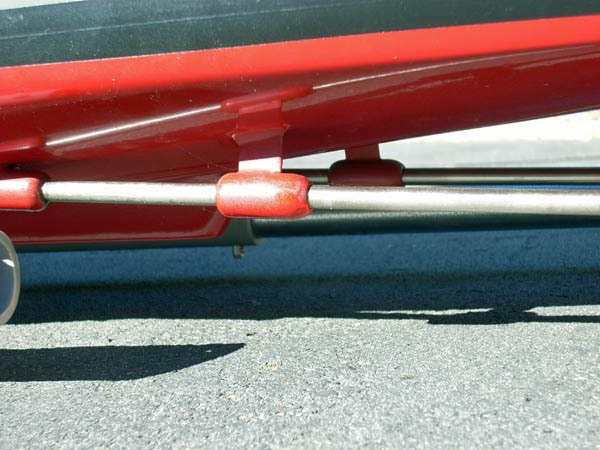 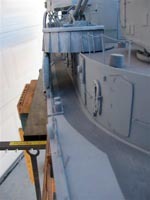 The decks are of marine/aircraft plywood. 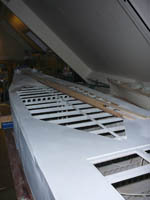 The structures above deck are basswood. 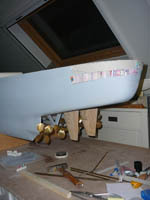 The mast is brass as are the stanchions and rails. 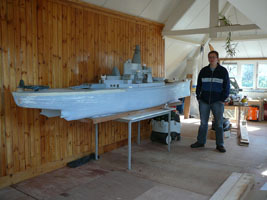 Ron did a lot of carving, including the anchors,whale boats, guns,and many other fititings.